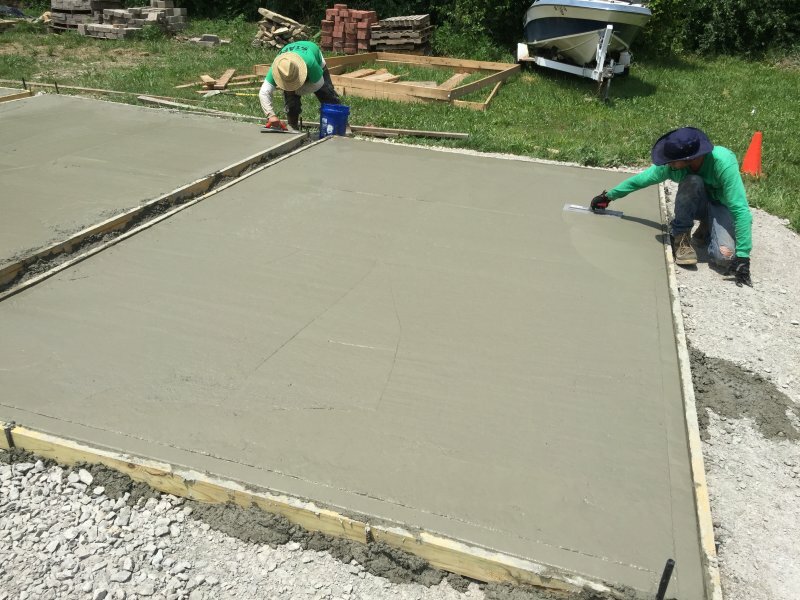 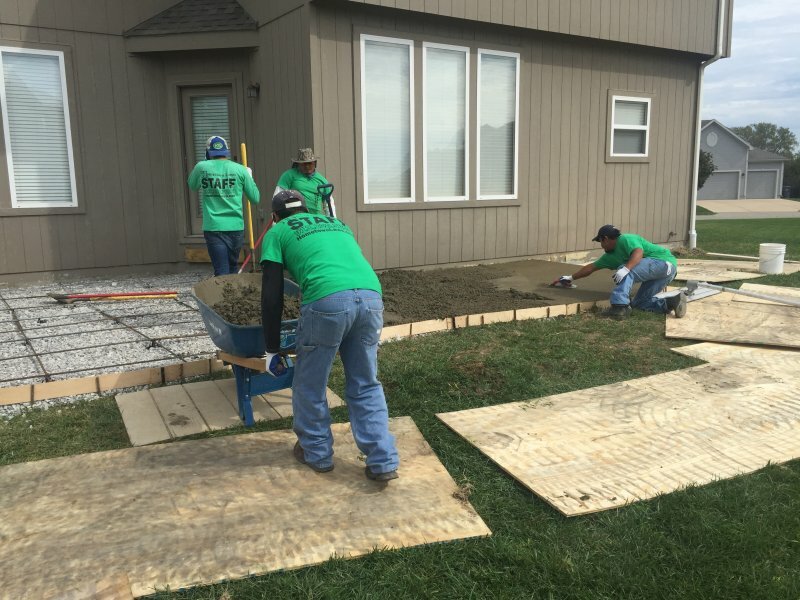 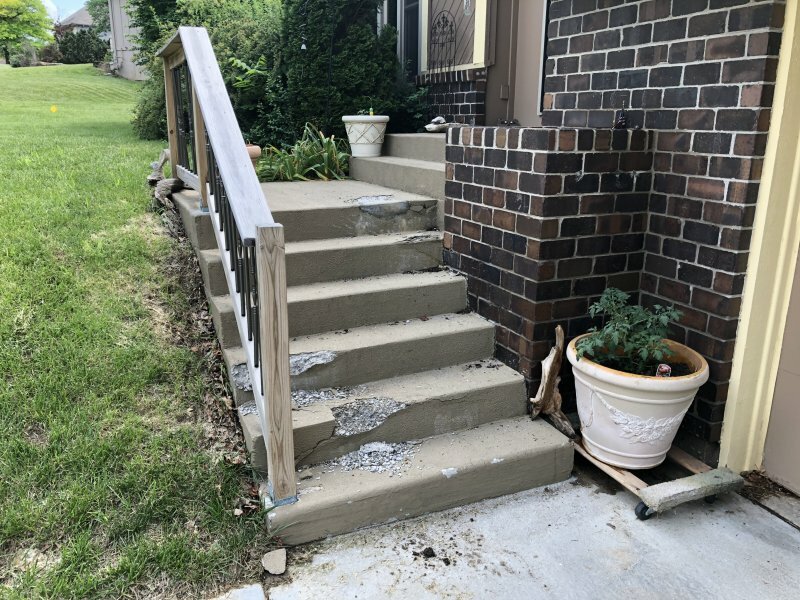 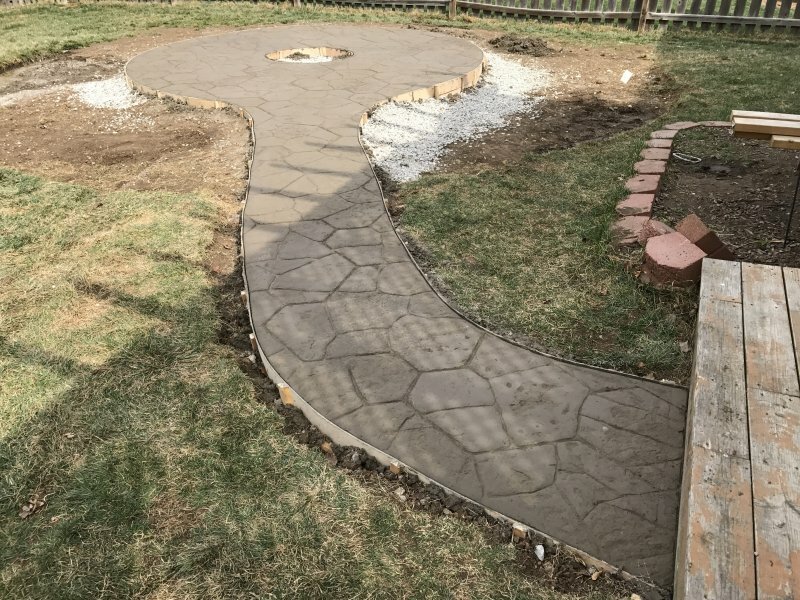 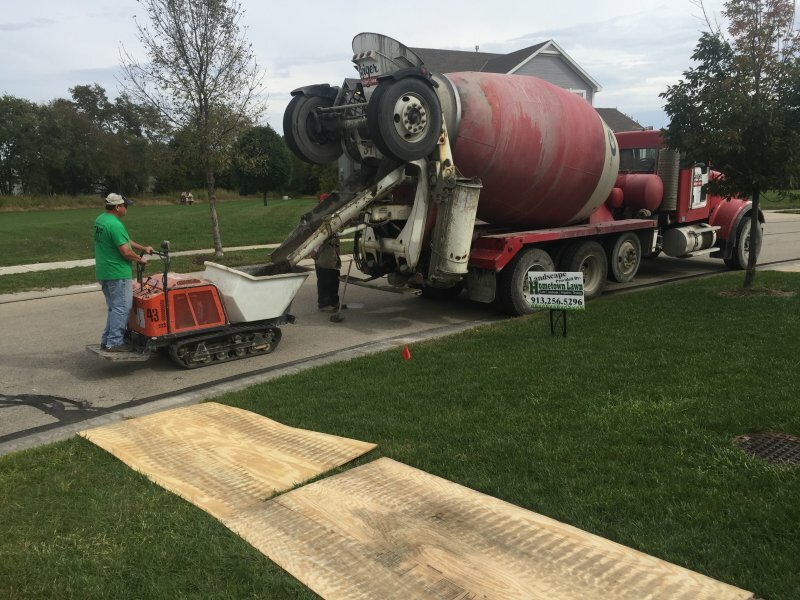 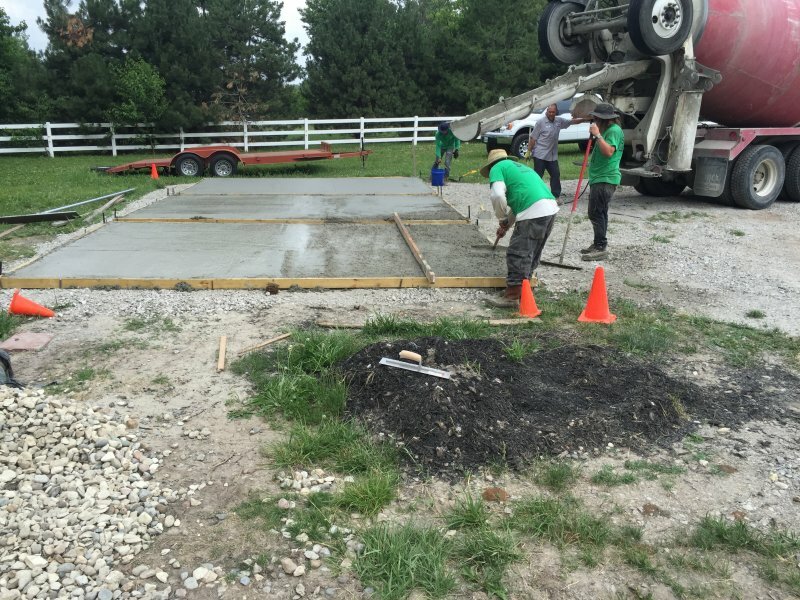 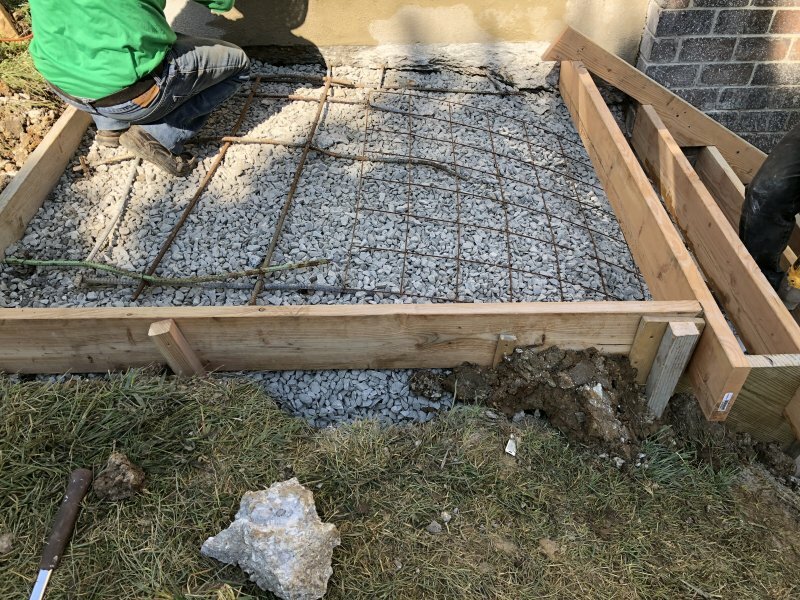 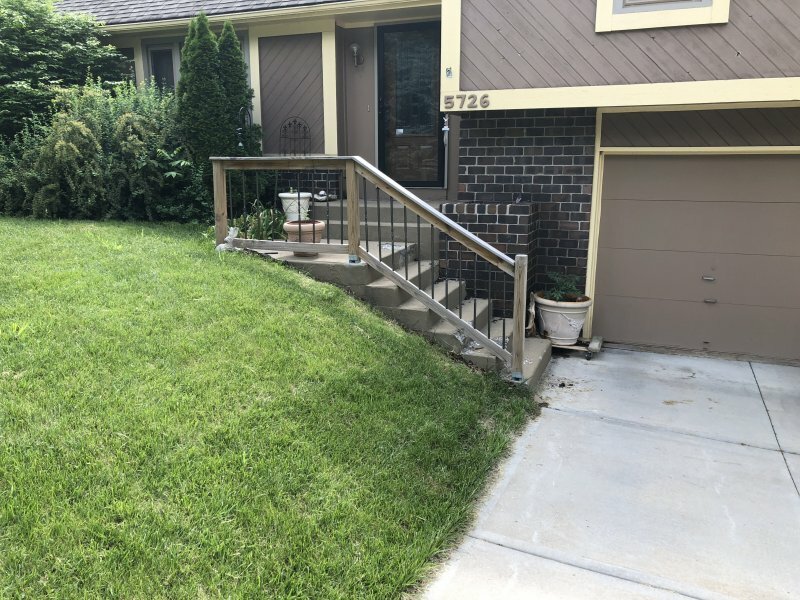 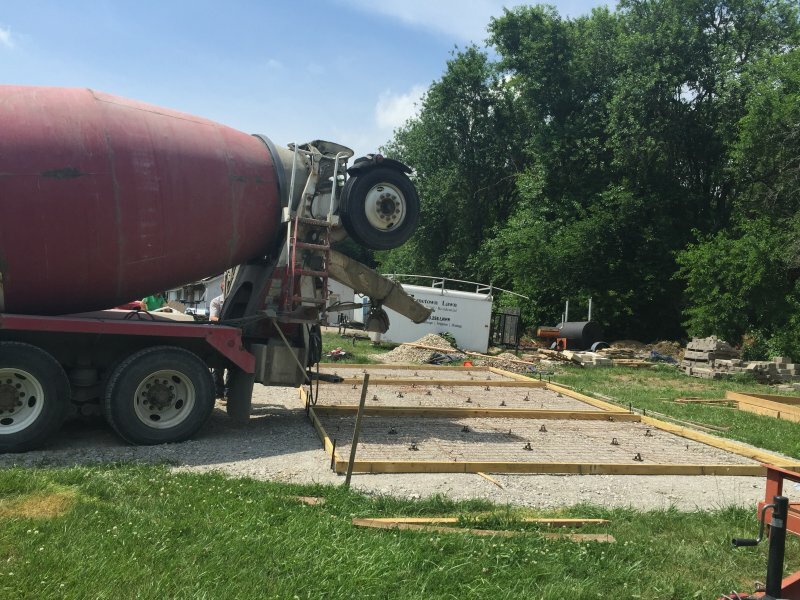 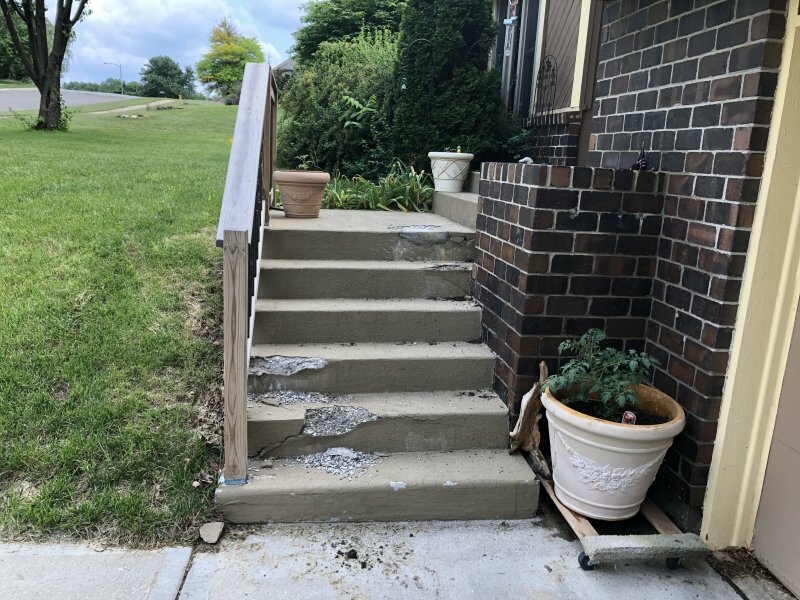 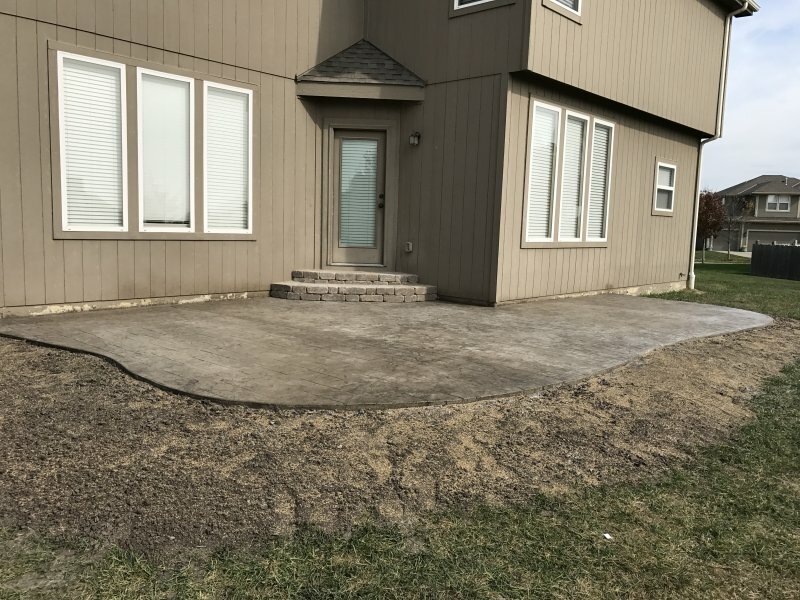 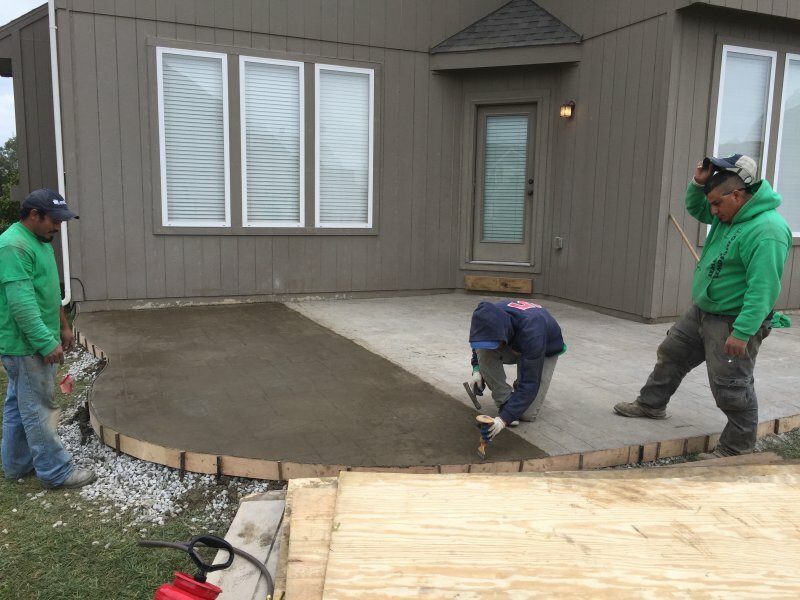 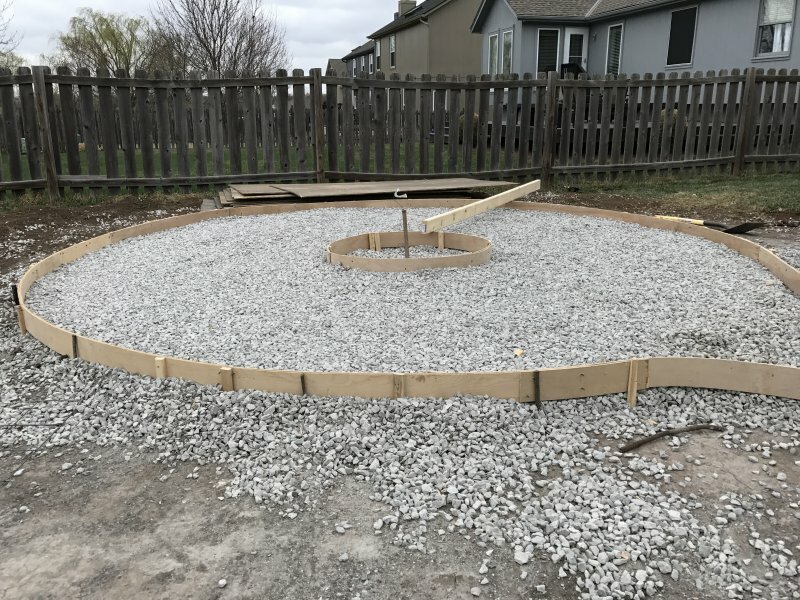 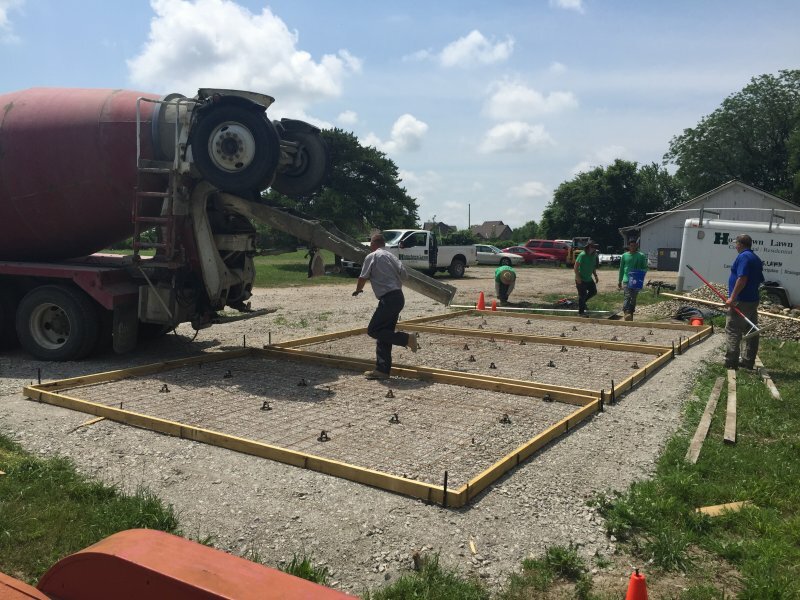 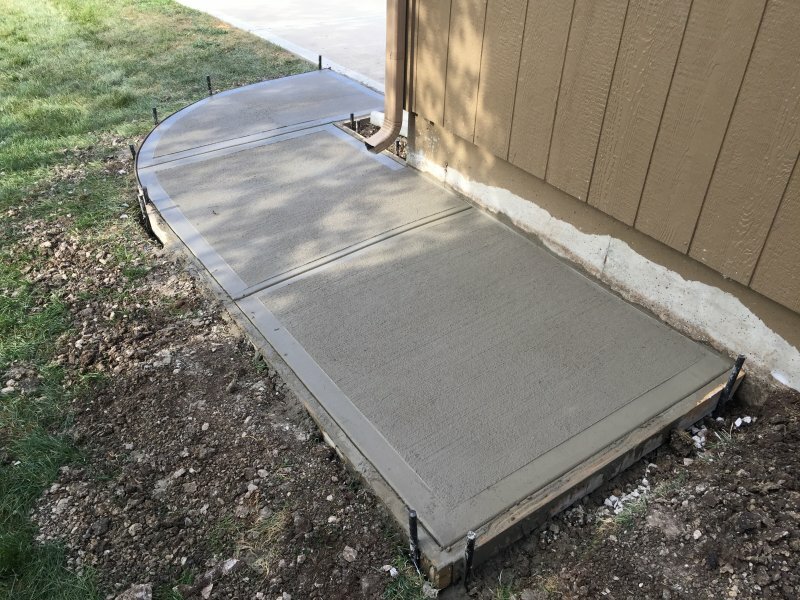 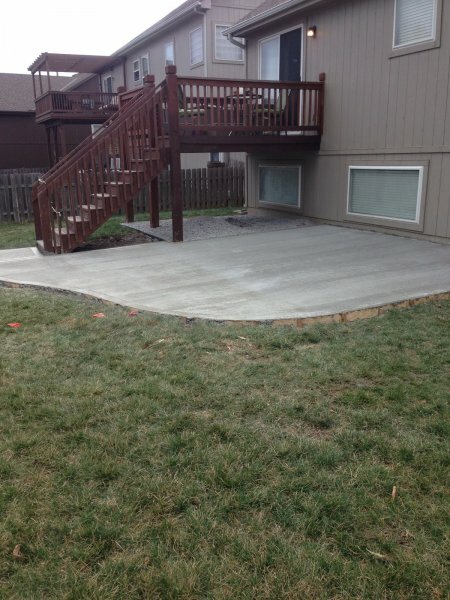 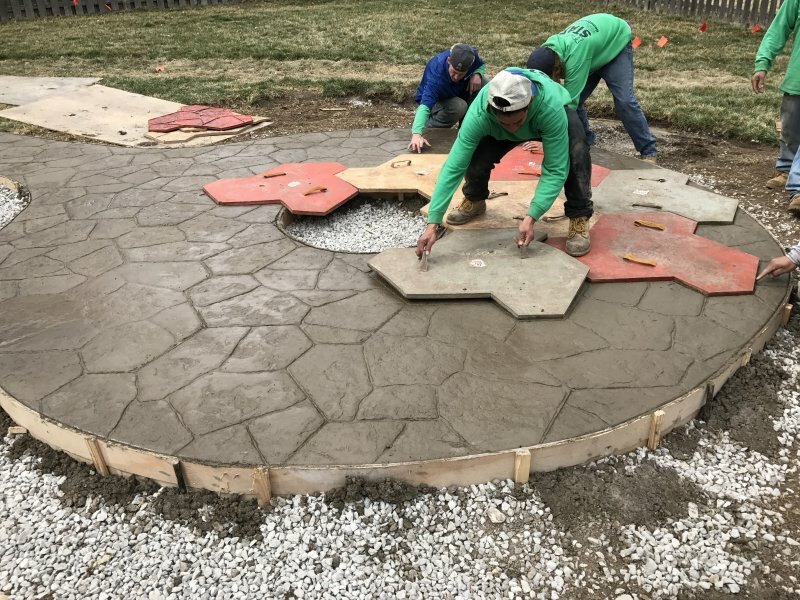 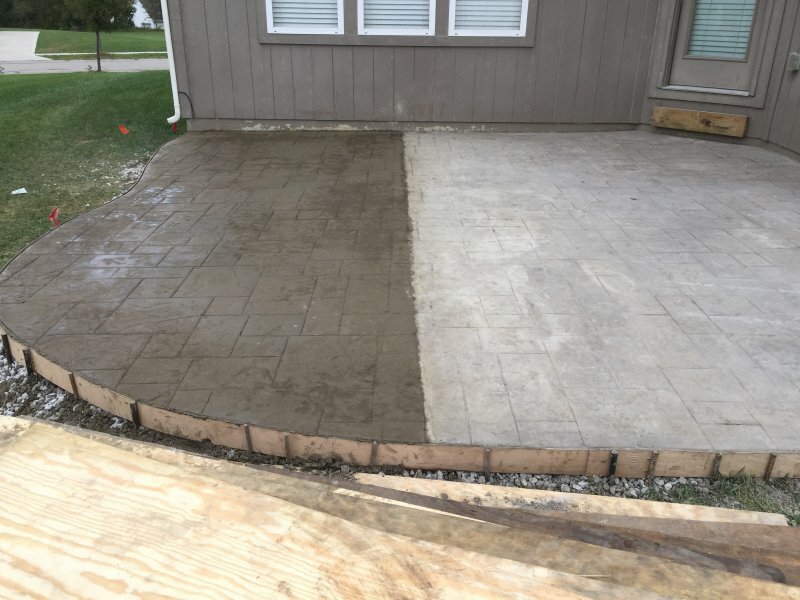 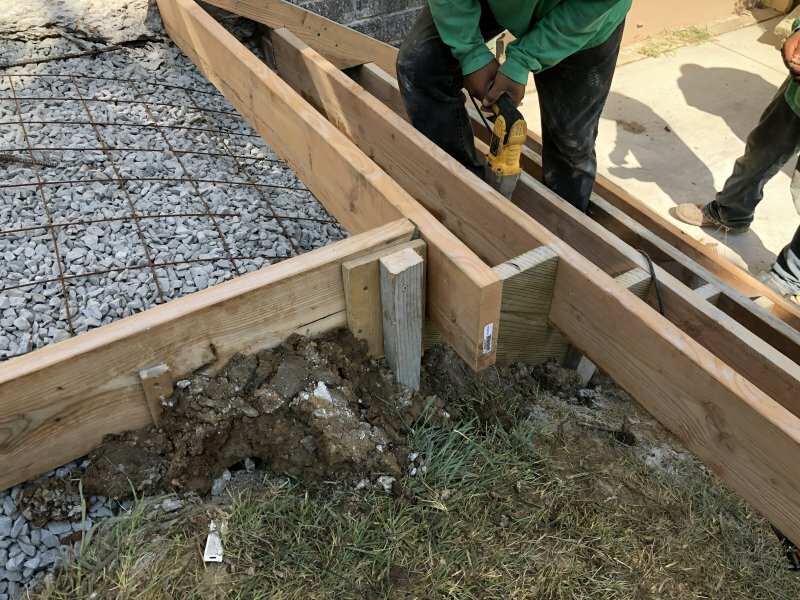 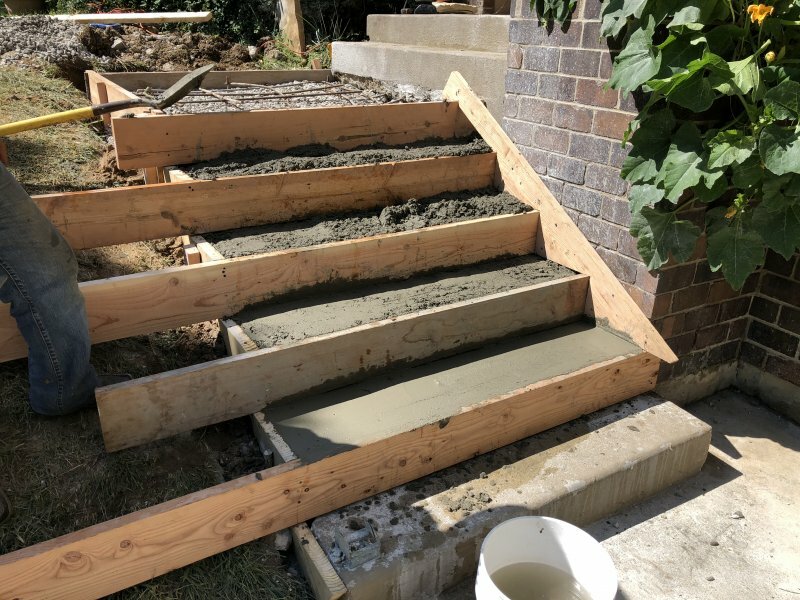 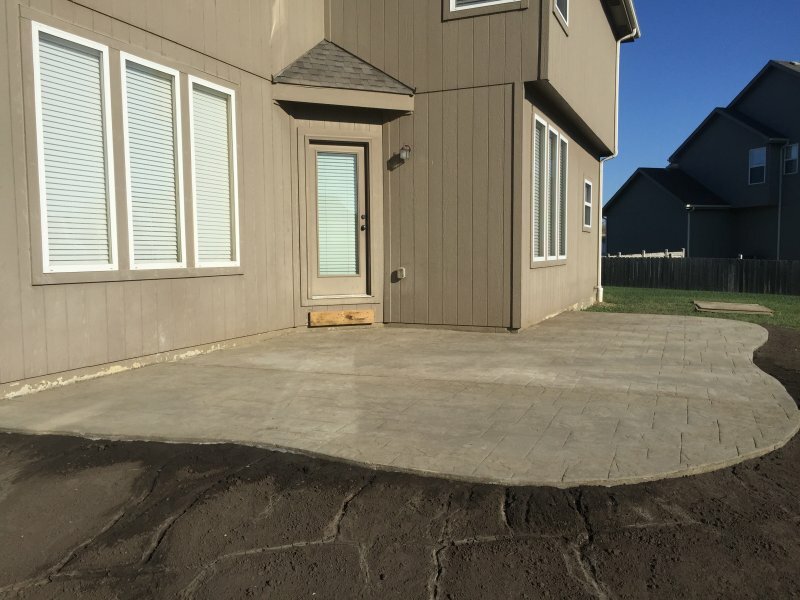 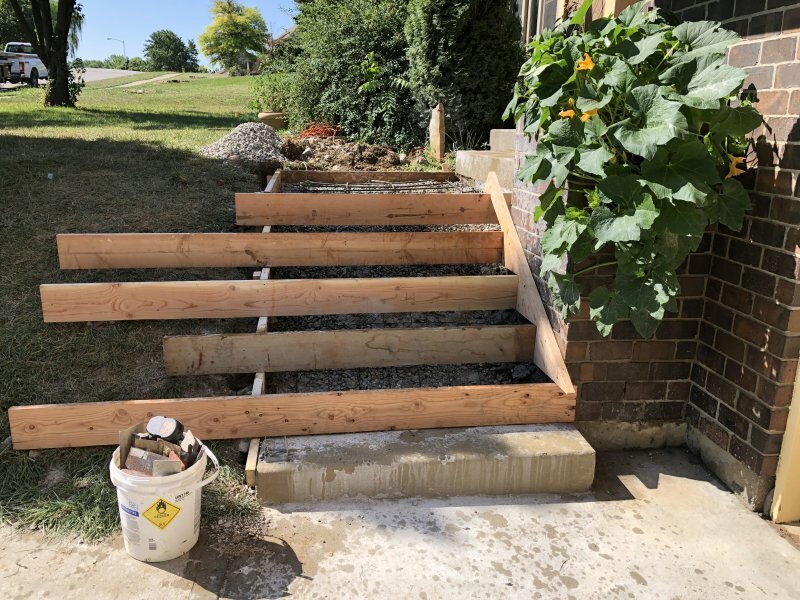 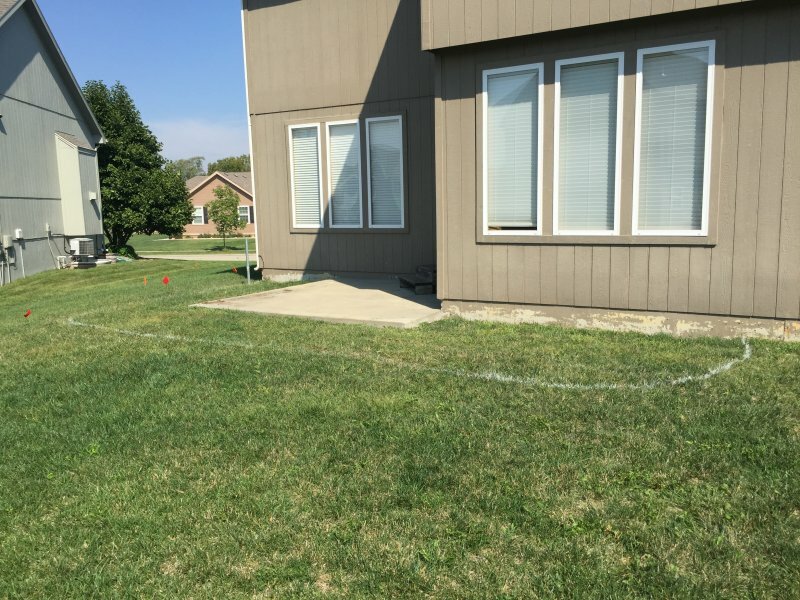 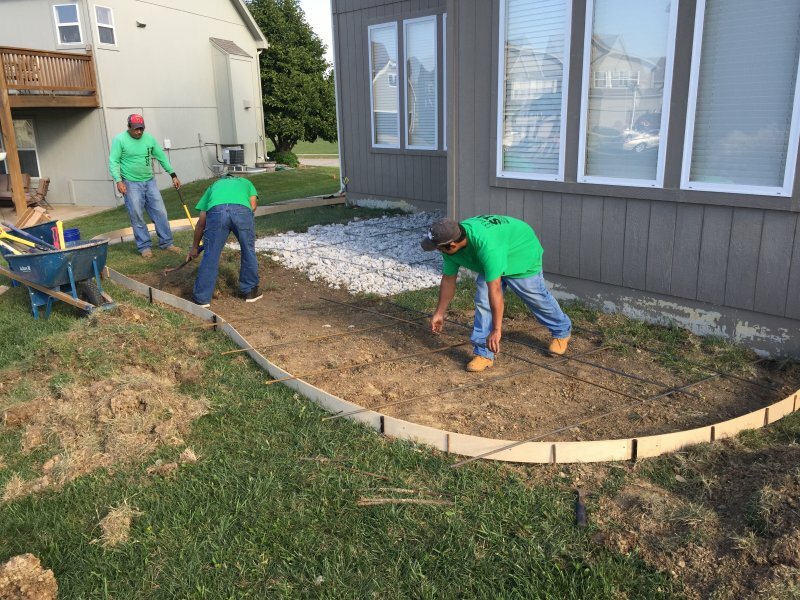 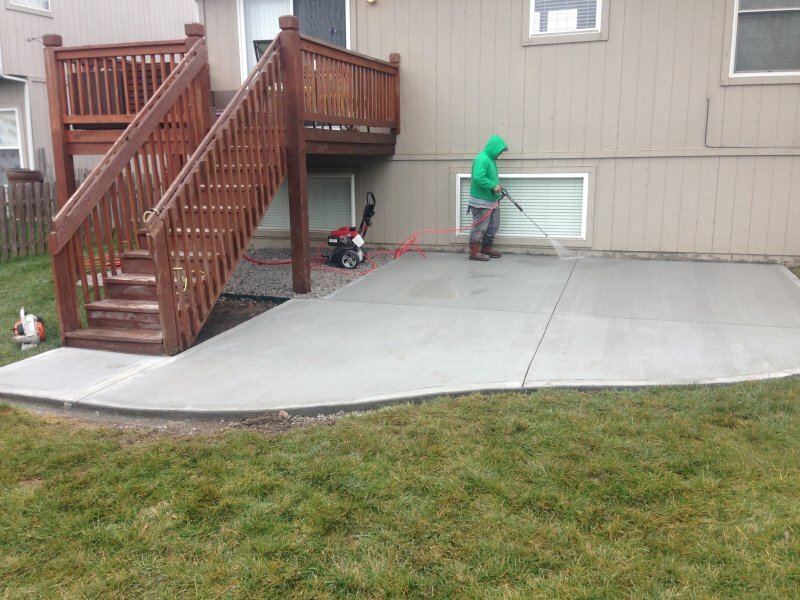 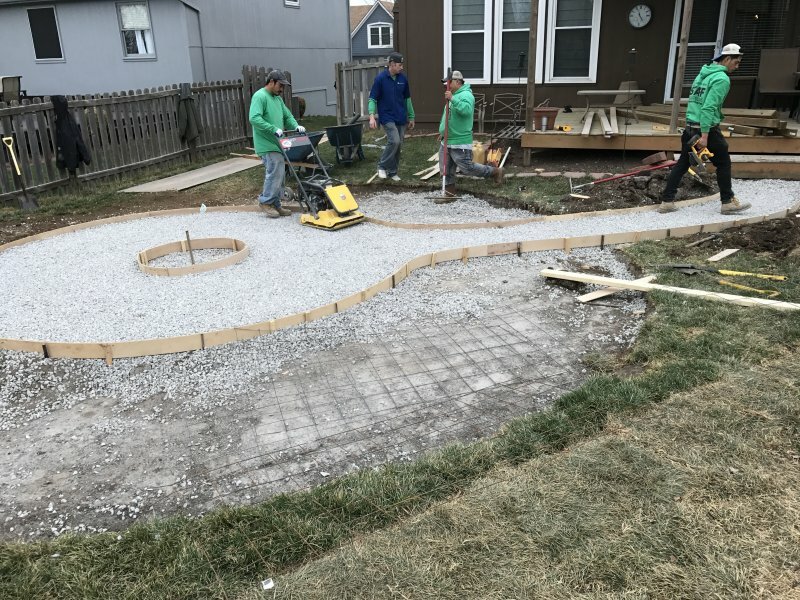 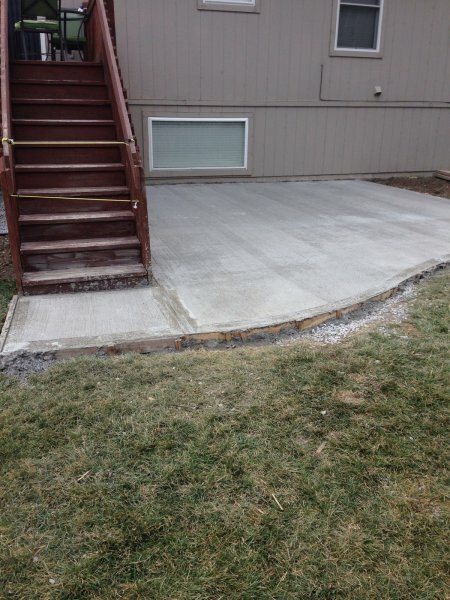 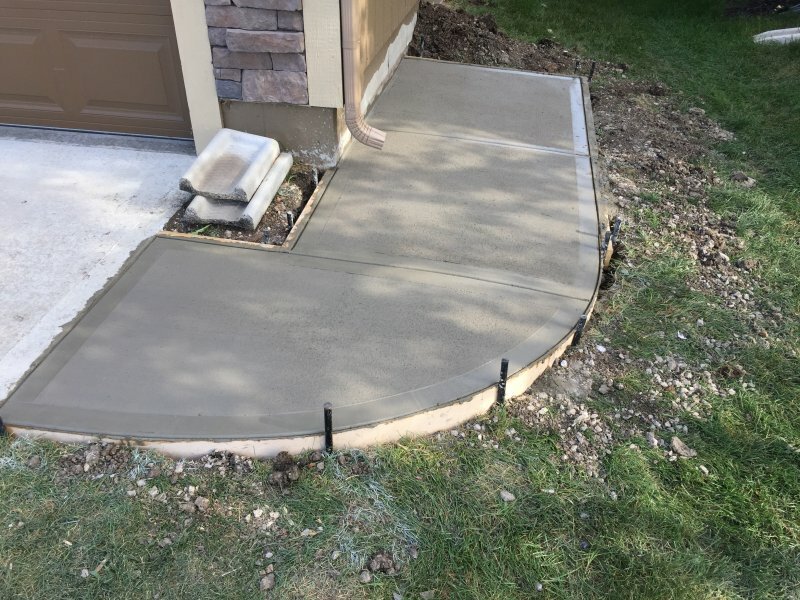 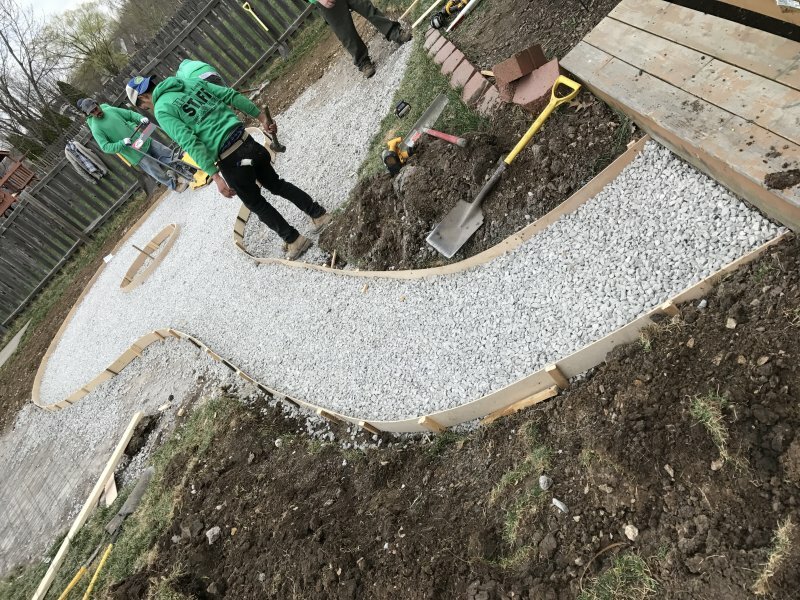 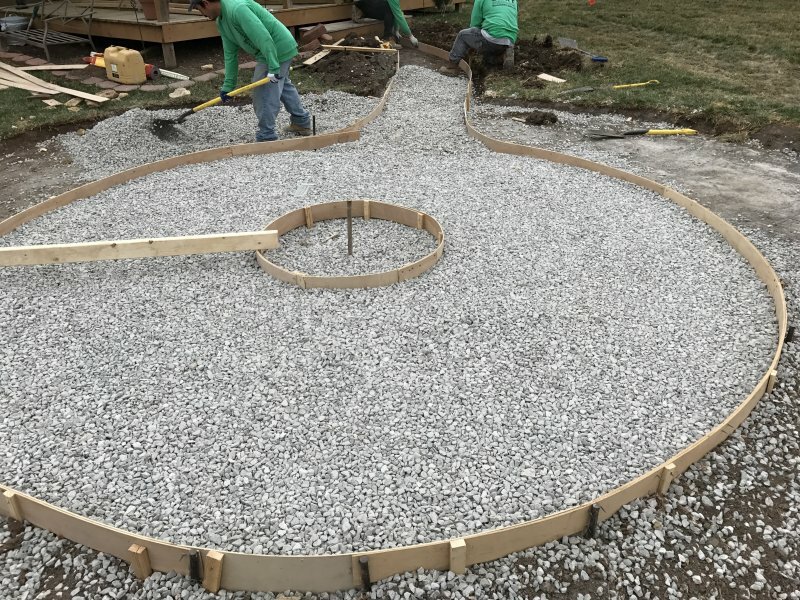 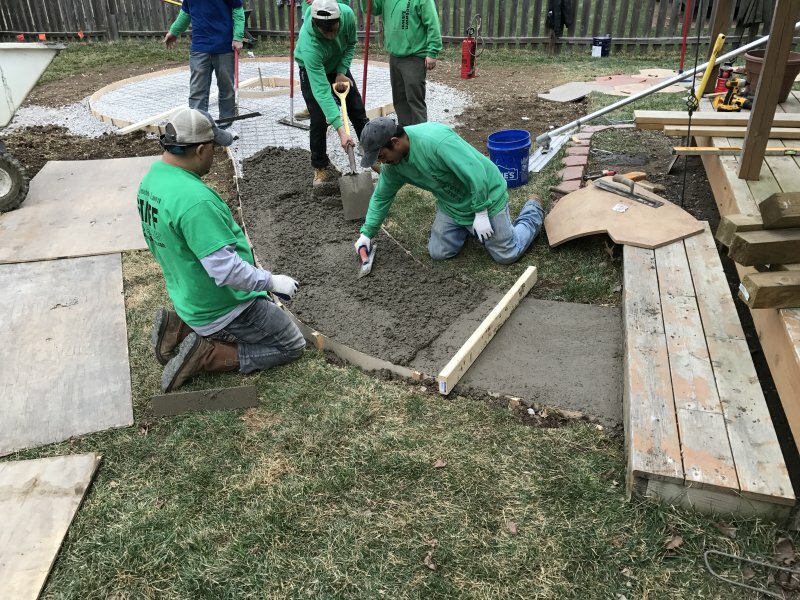 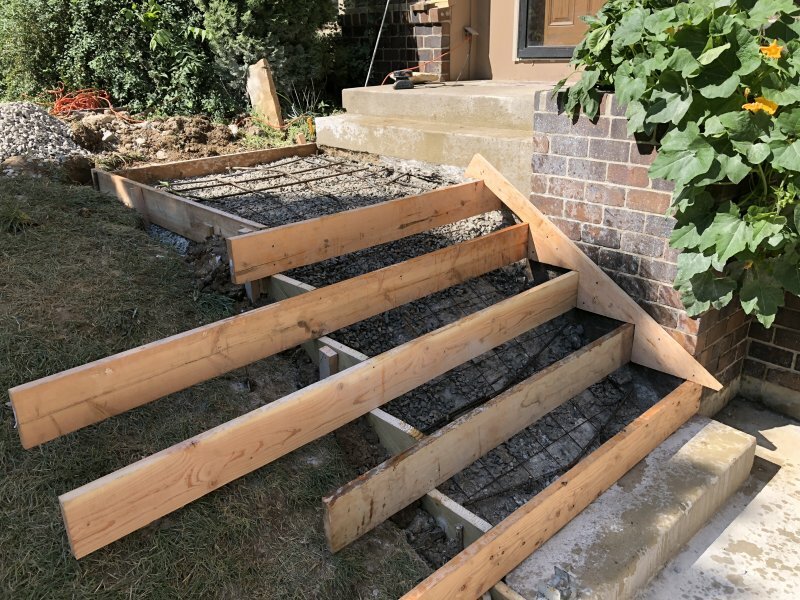 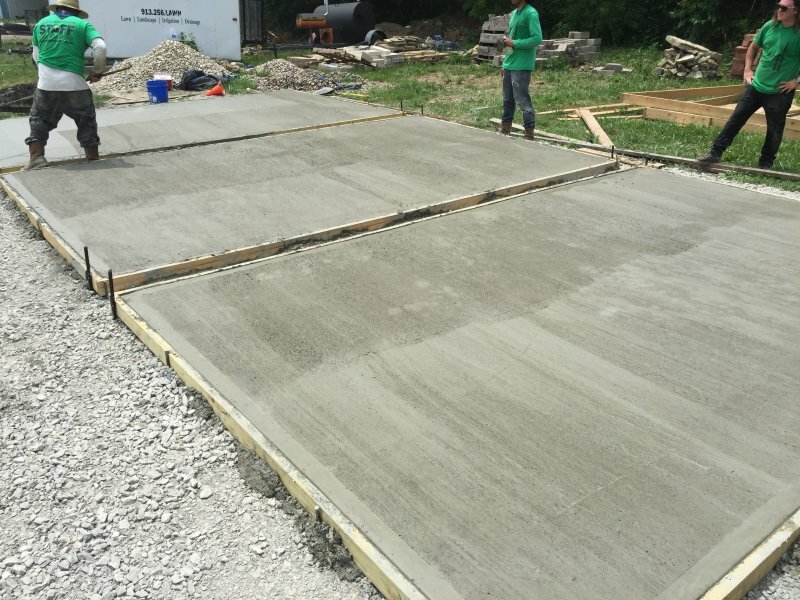 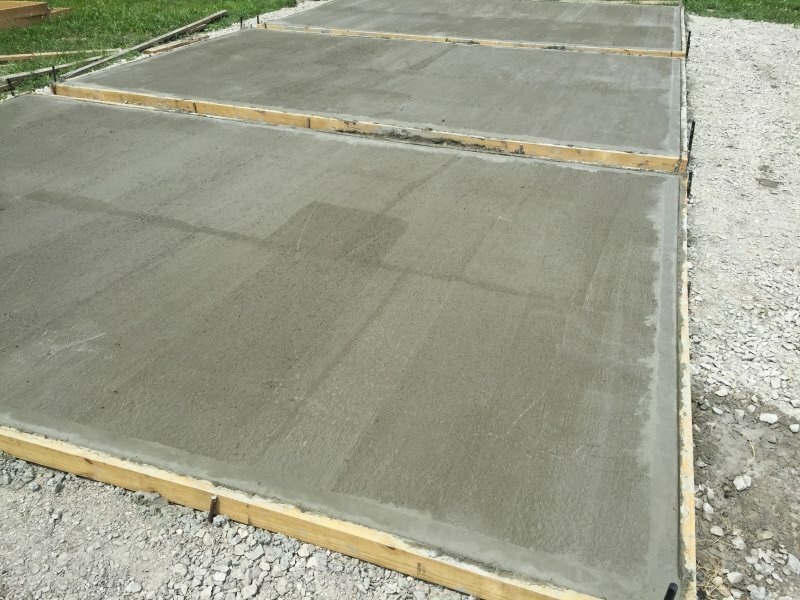 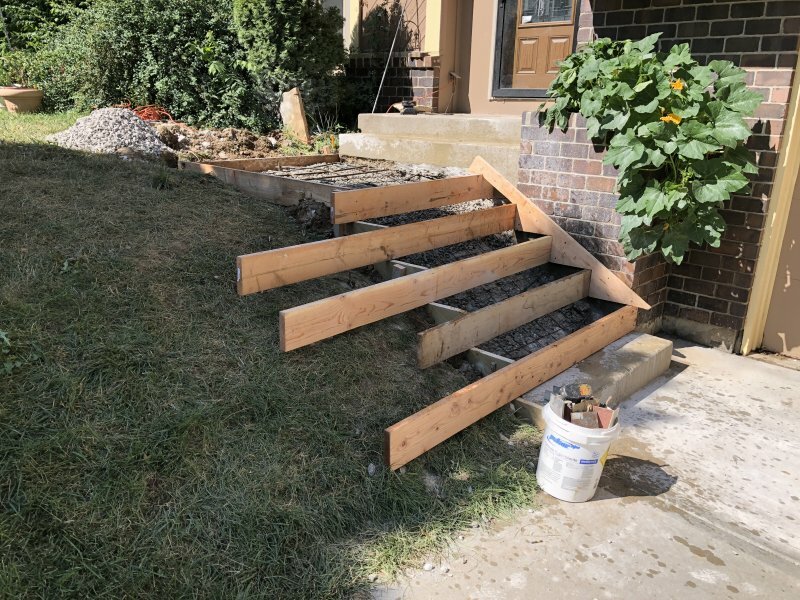 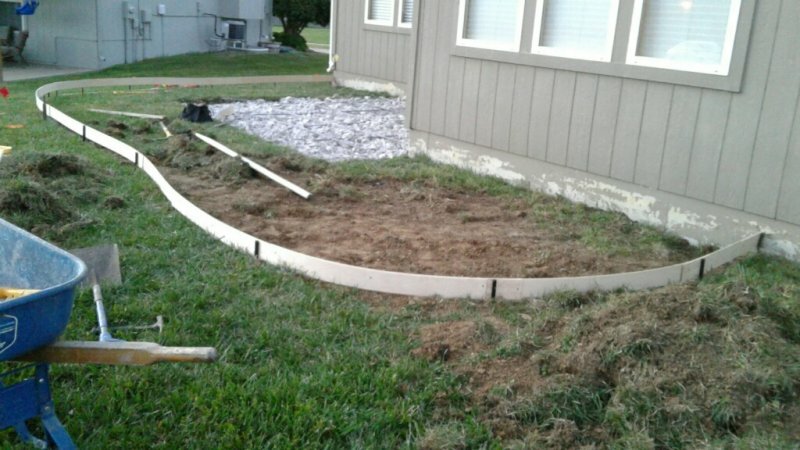 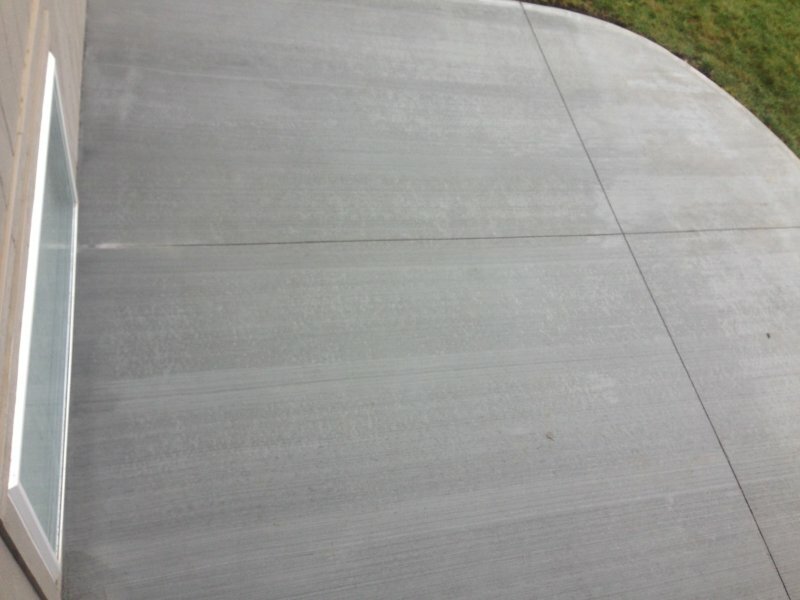 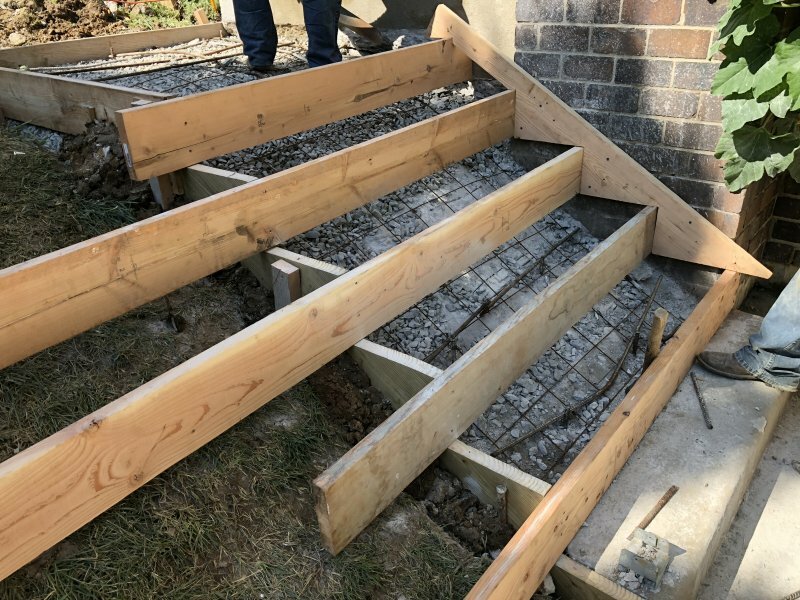 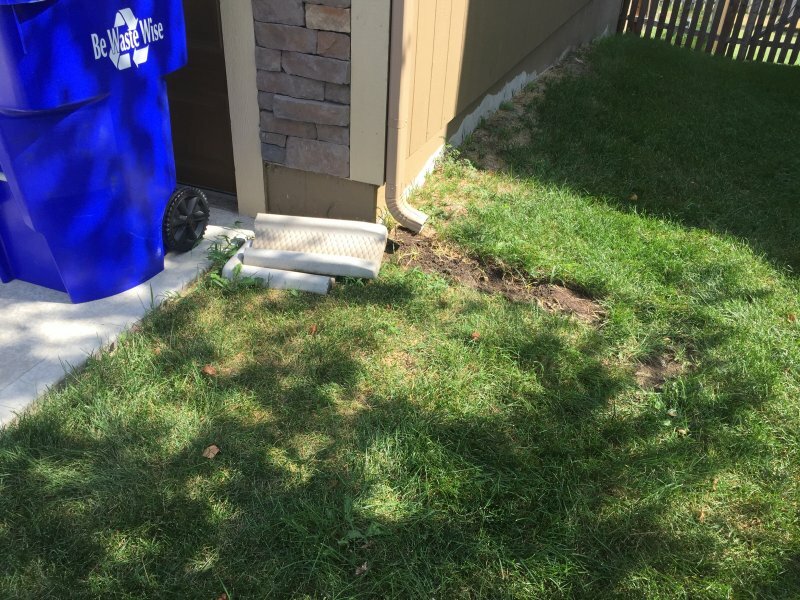 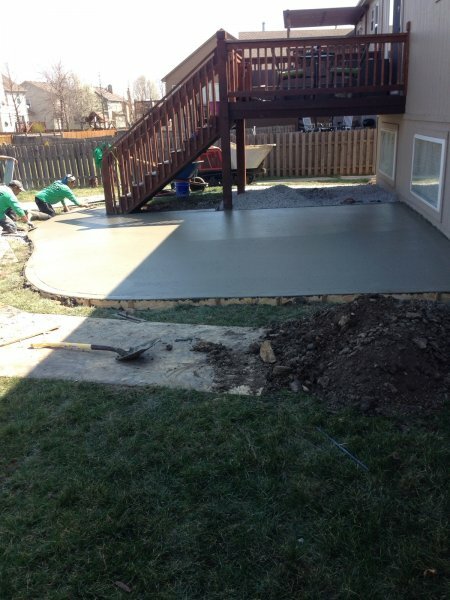 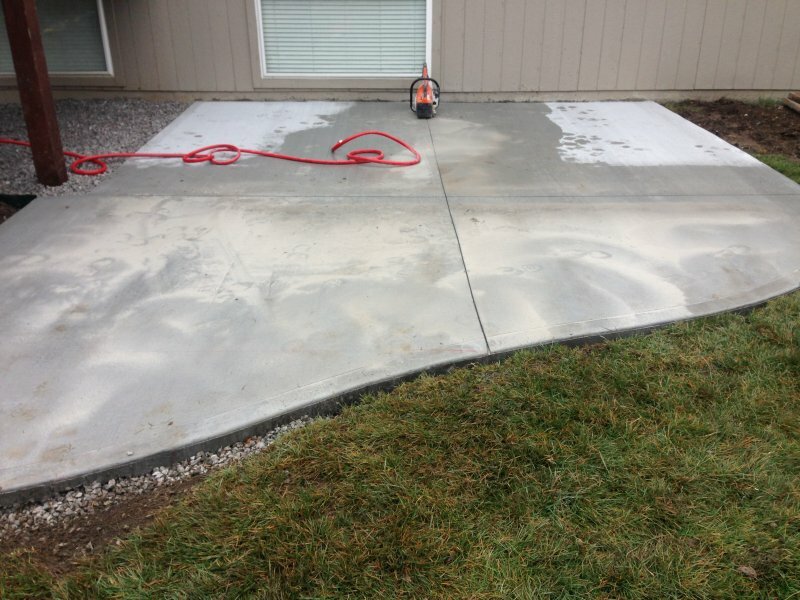 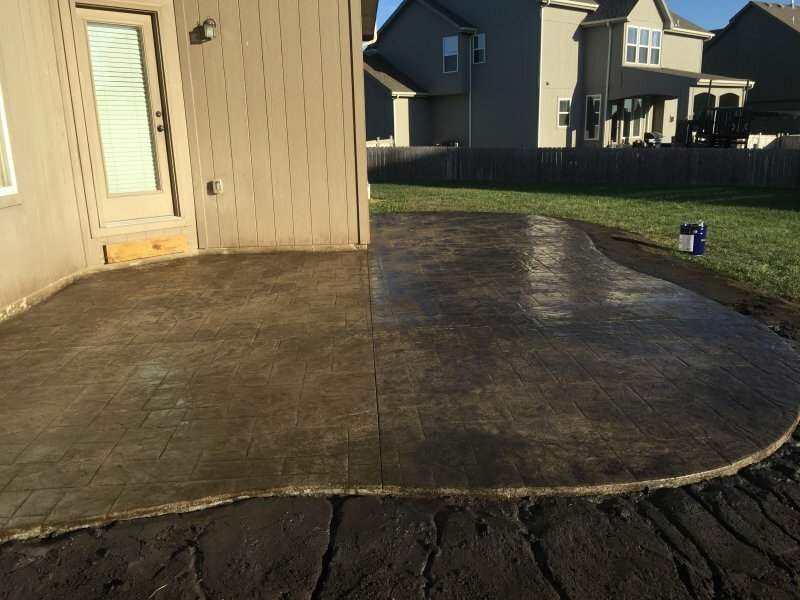 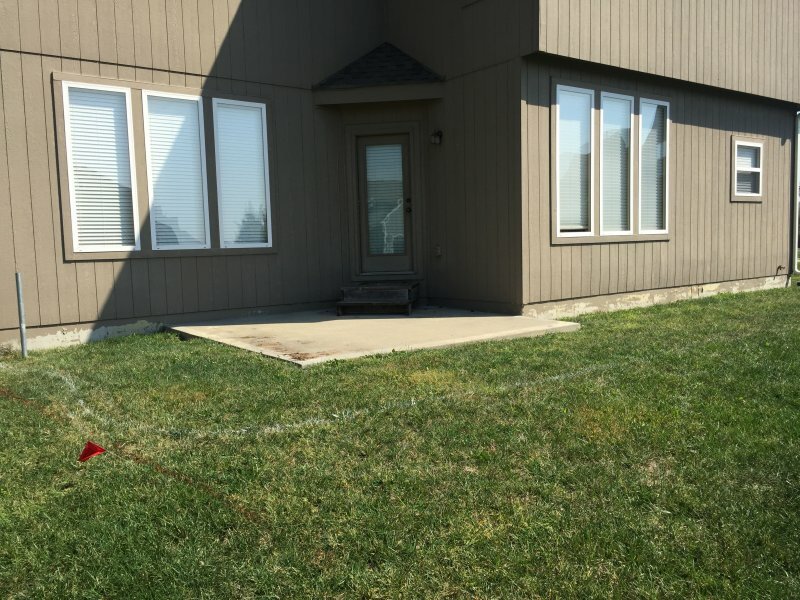 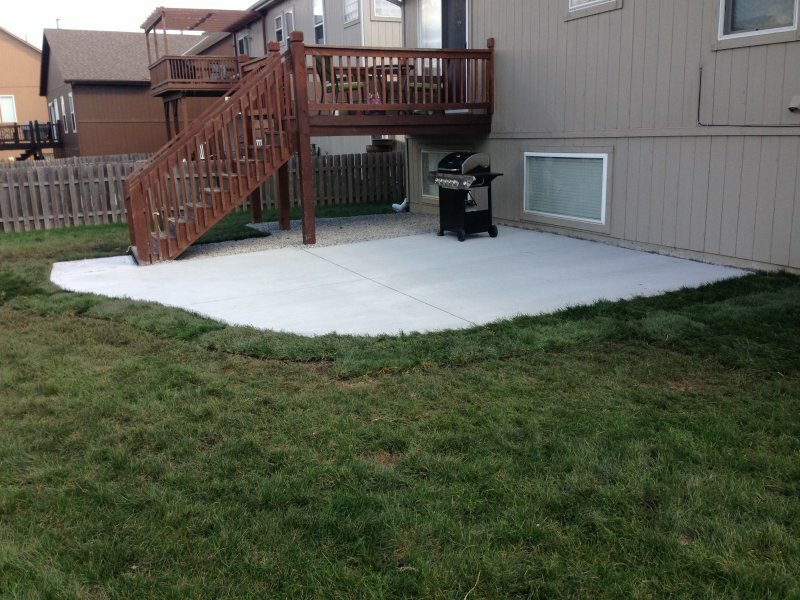 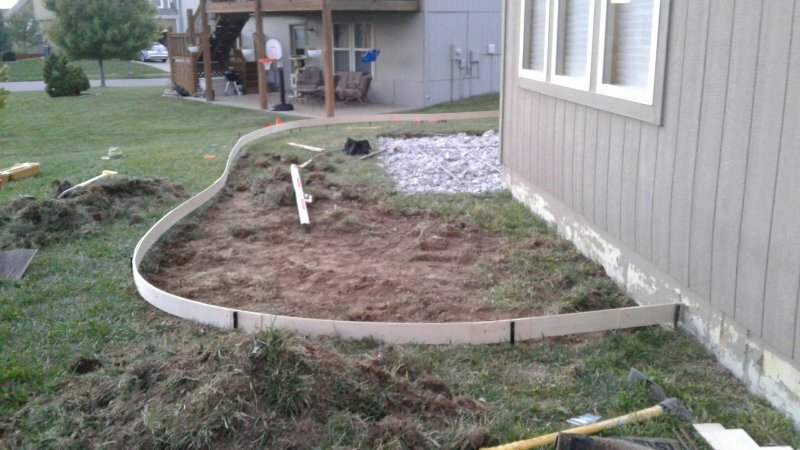 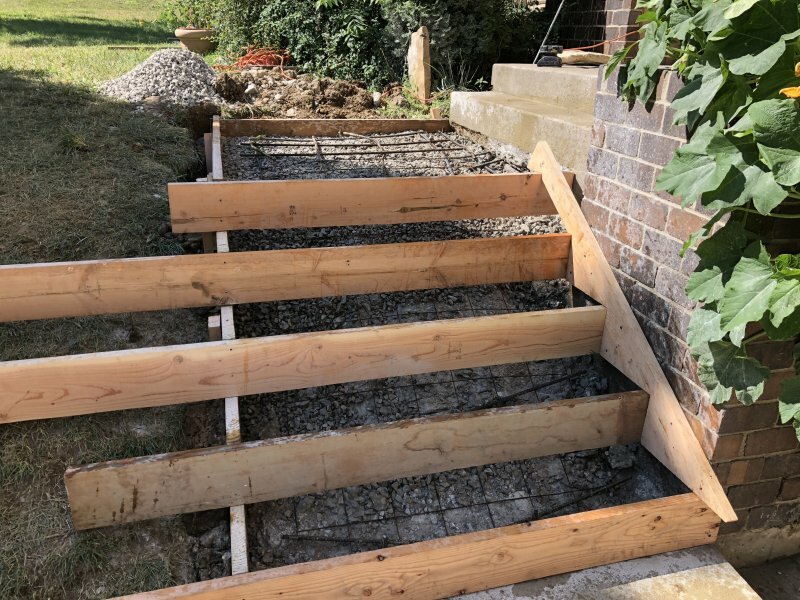 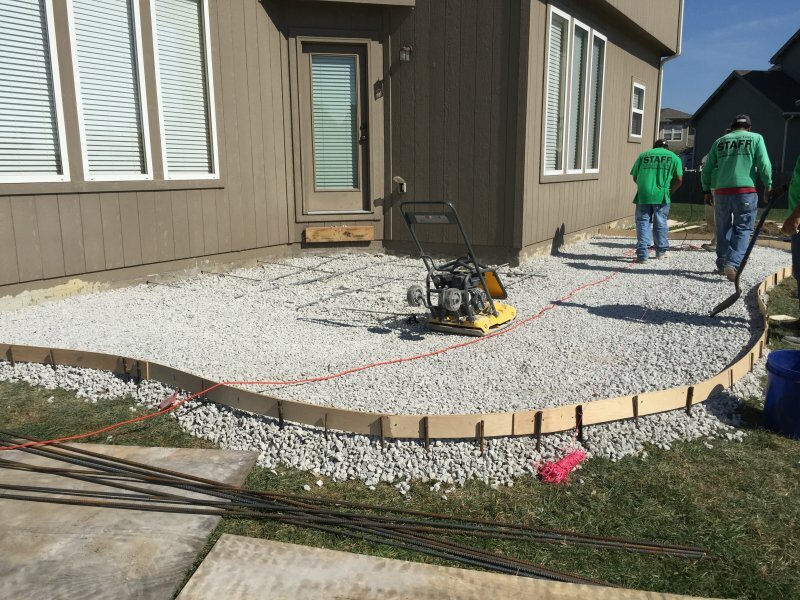 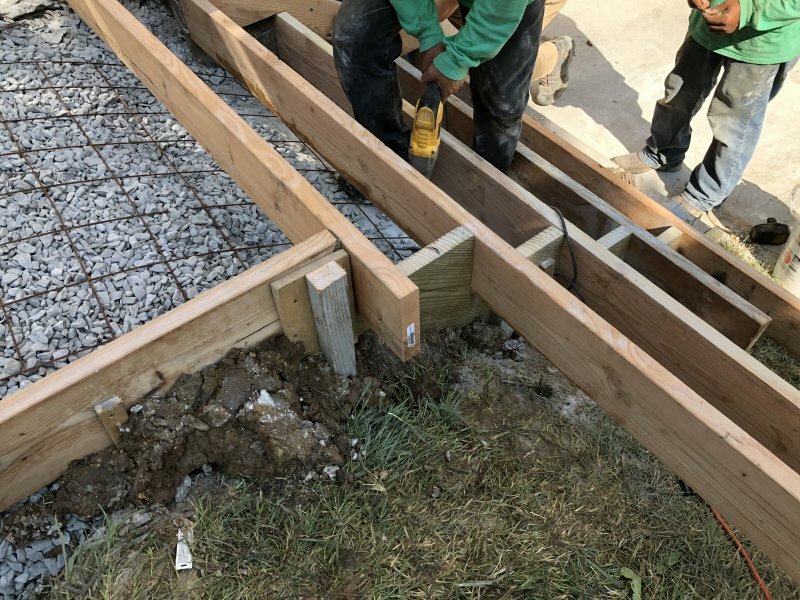 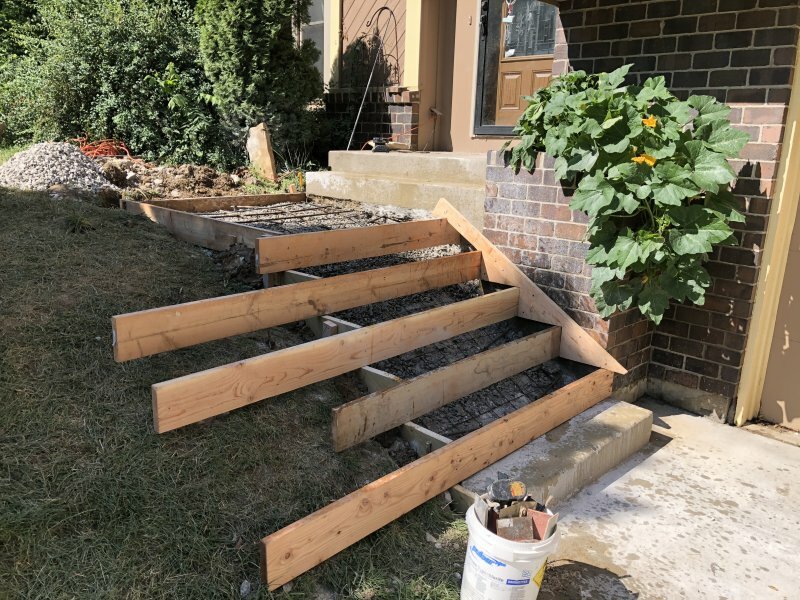 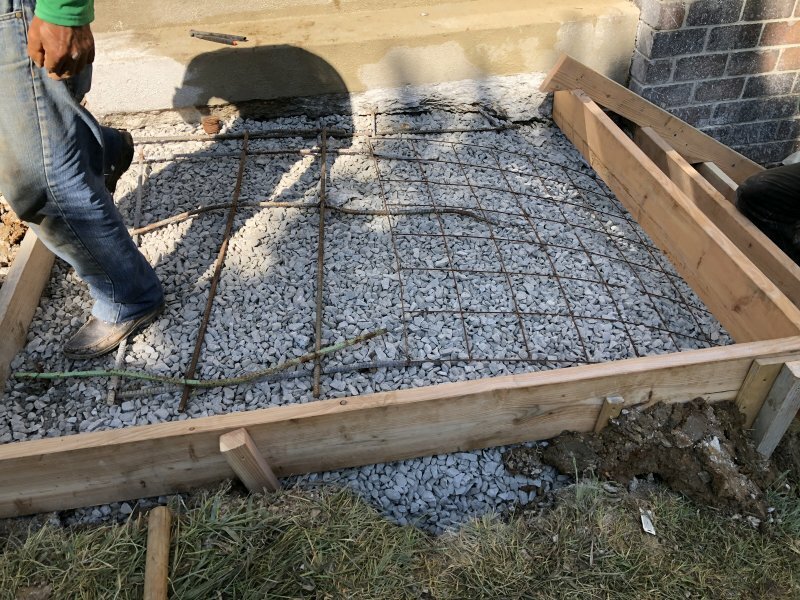 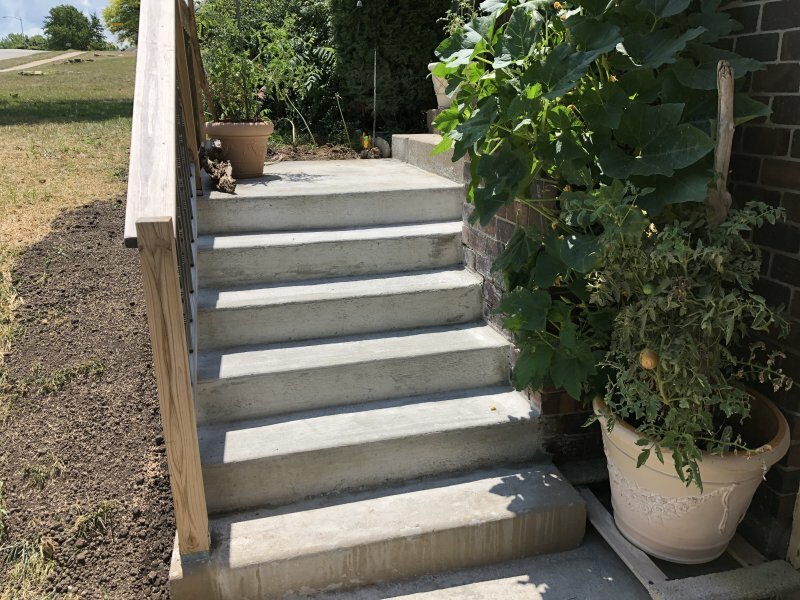 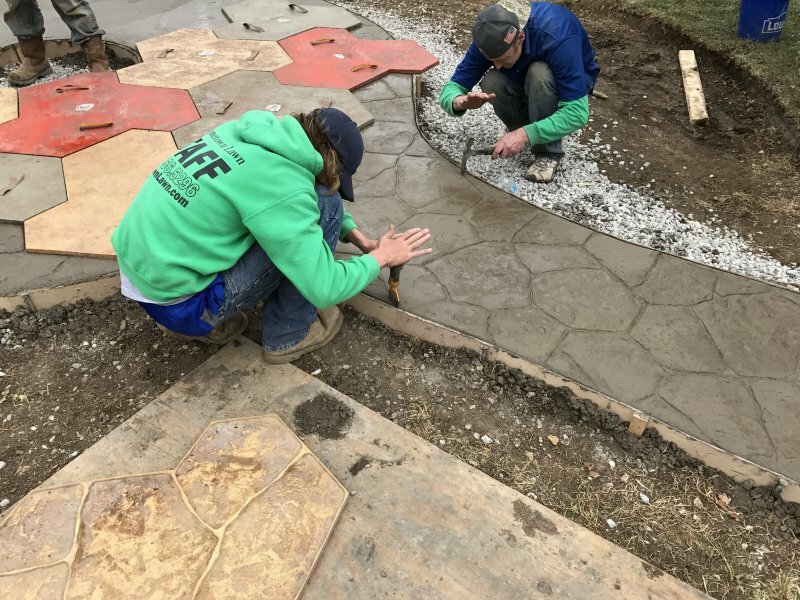 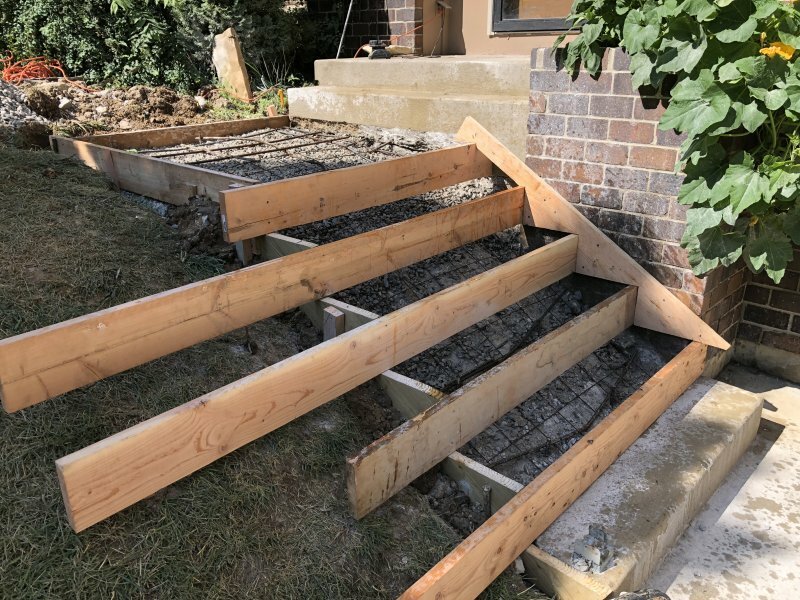 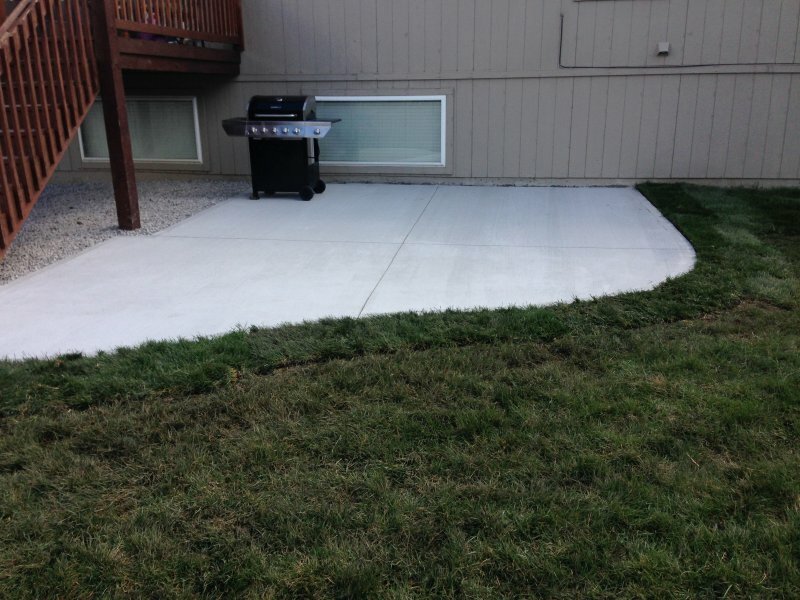 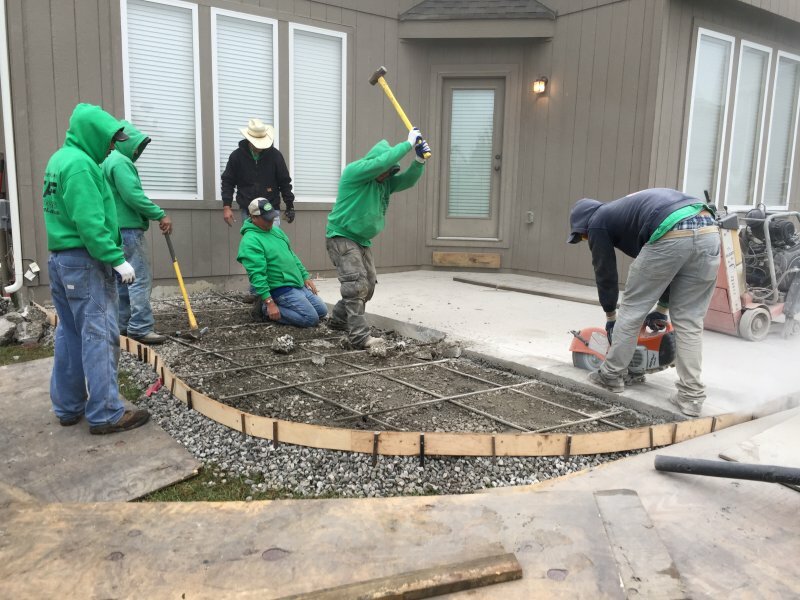 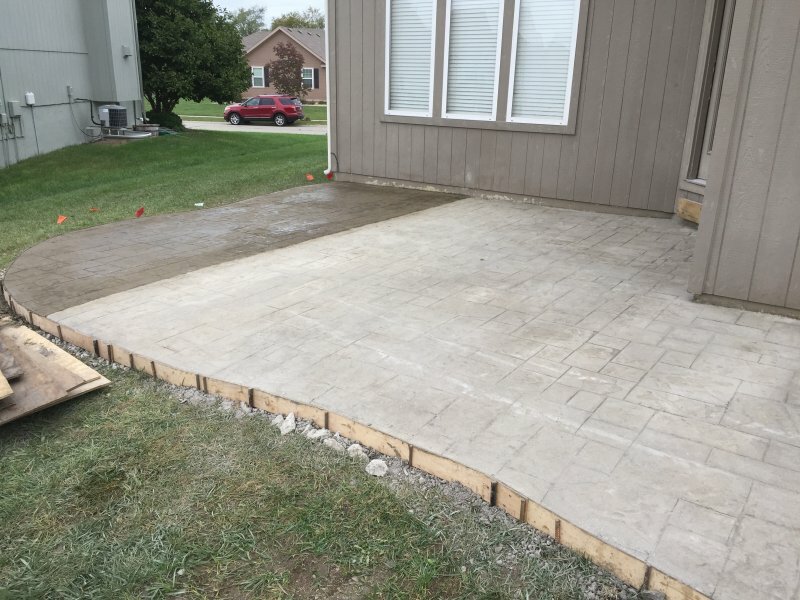 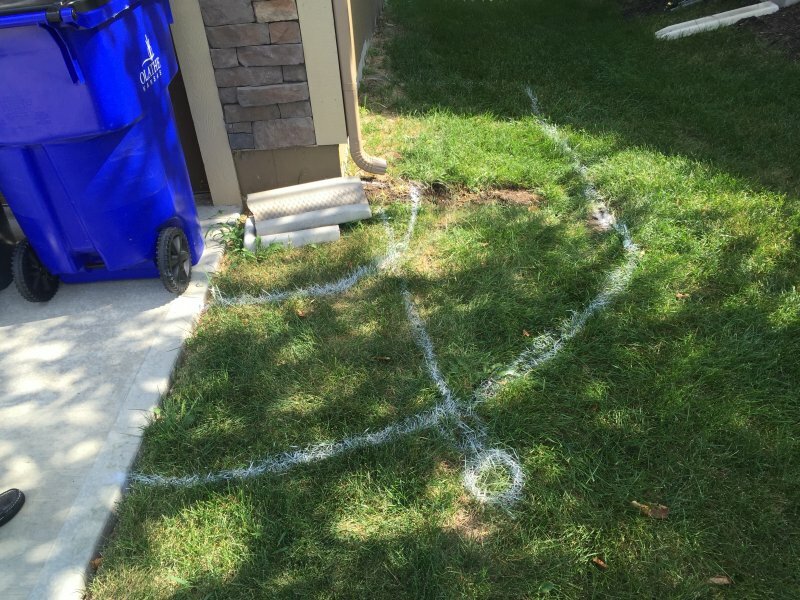 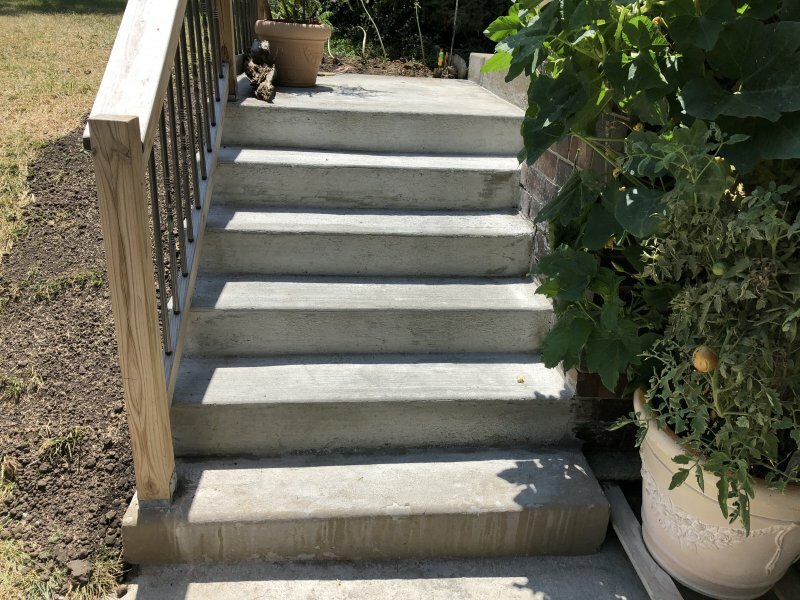 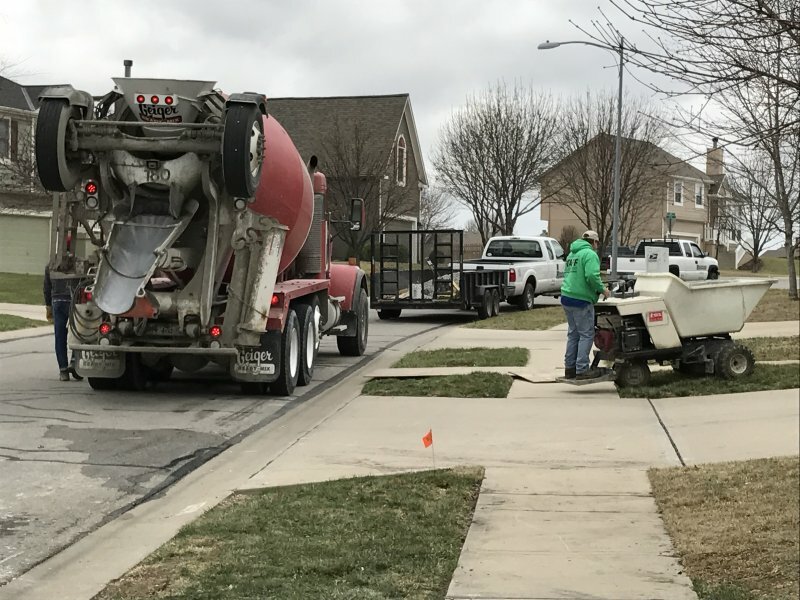 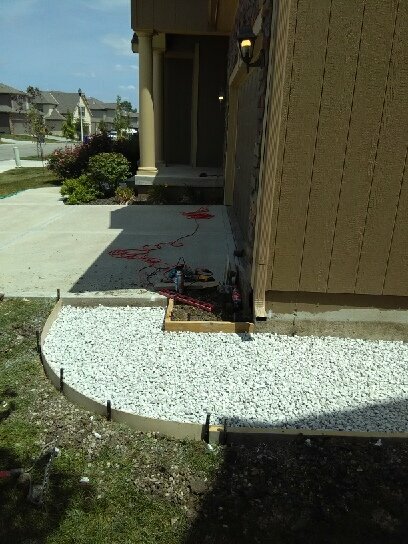 Photos of concrete work performed by Hometown Lawn. 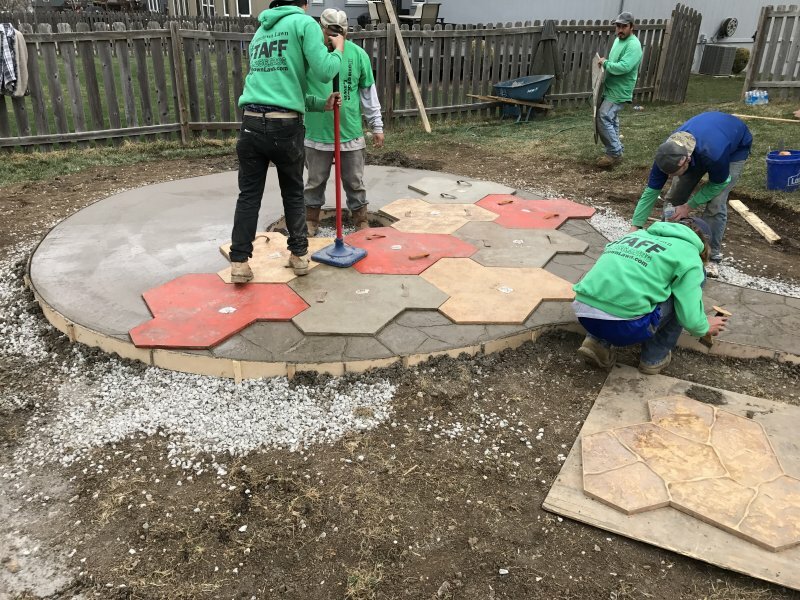 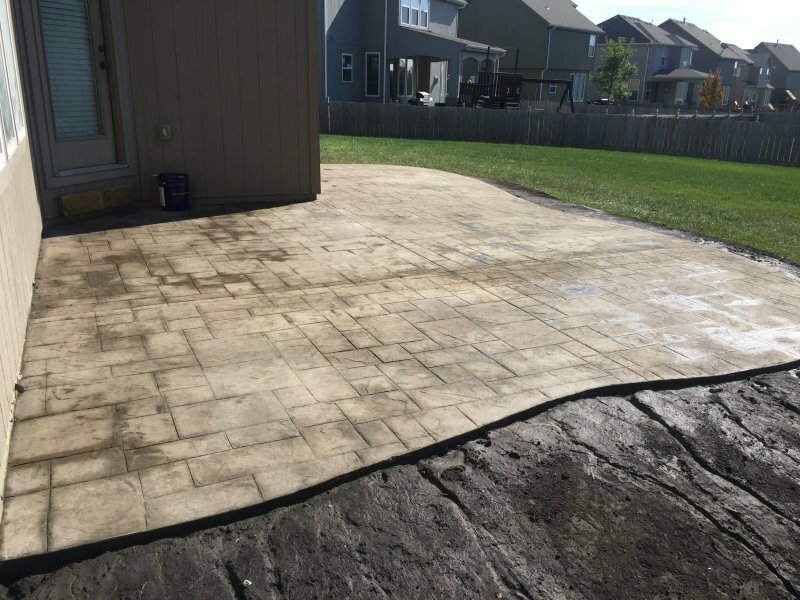 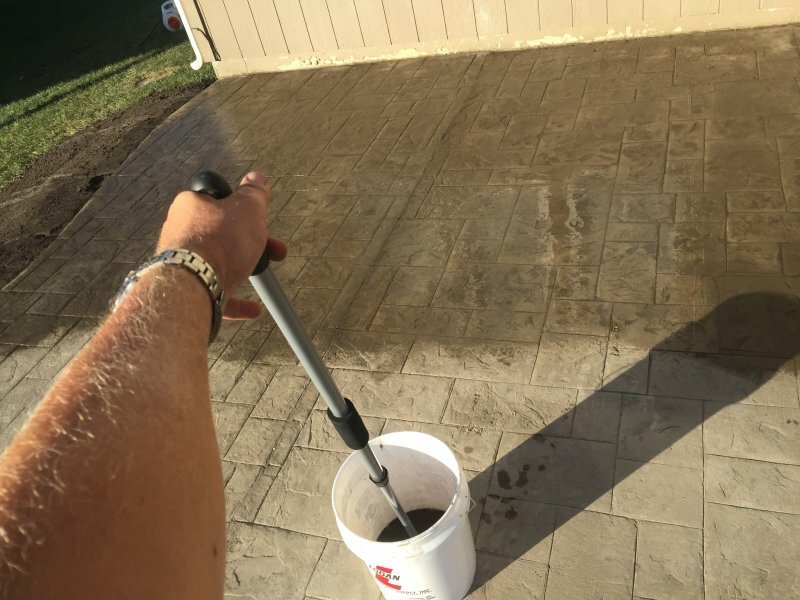 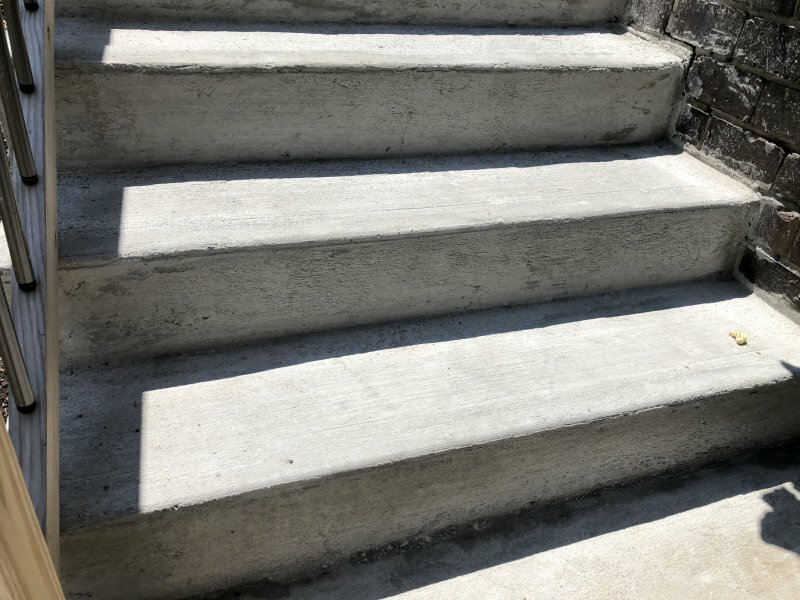 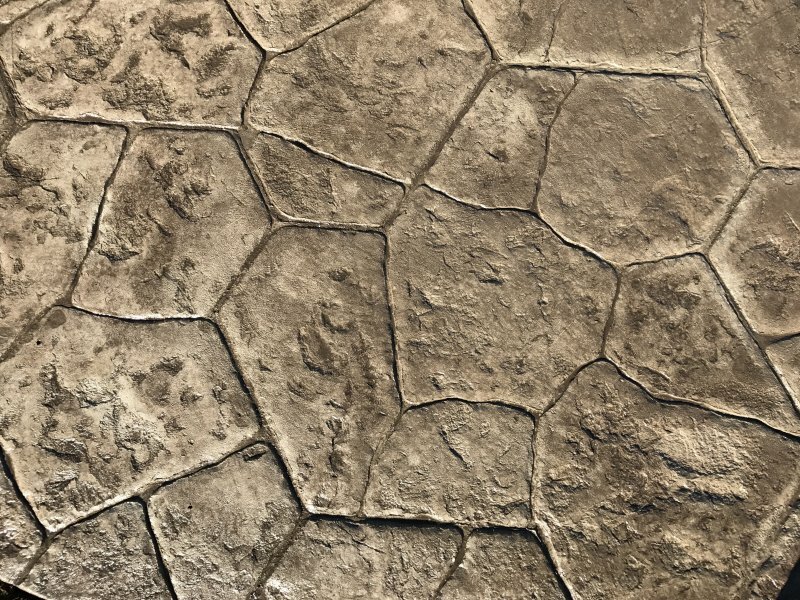 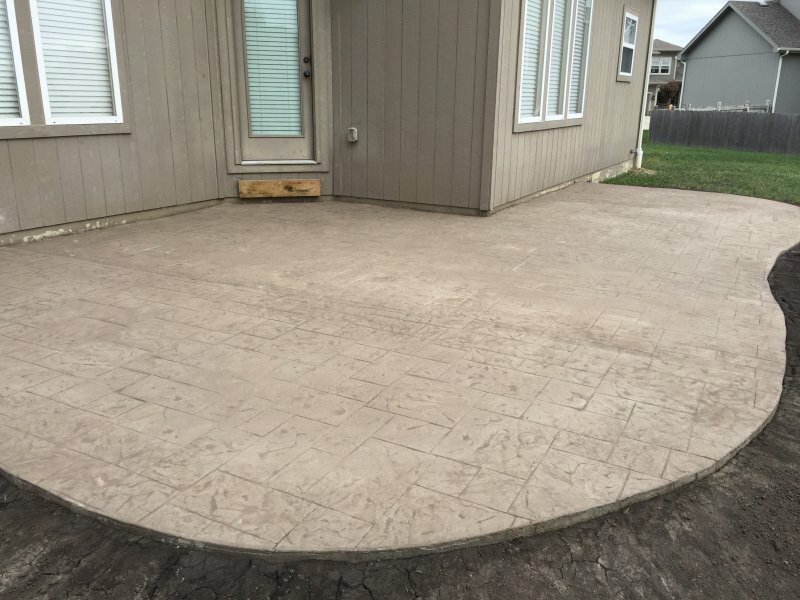 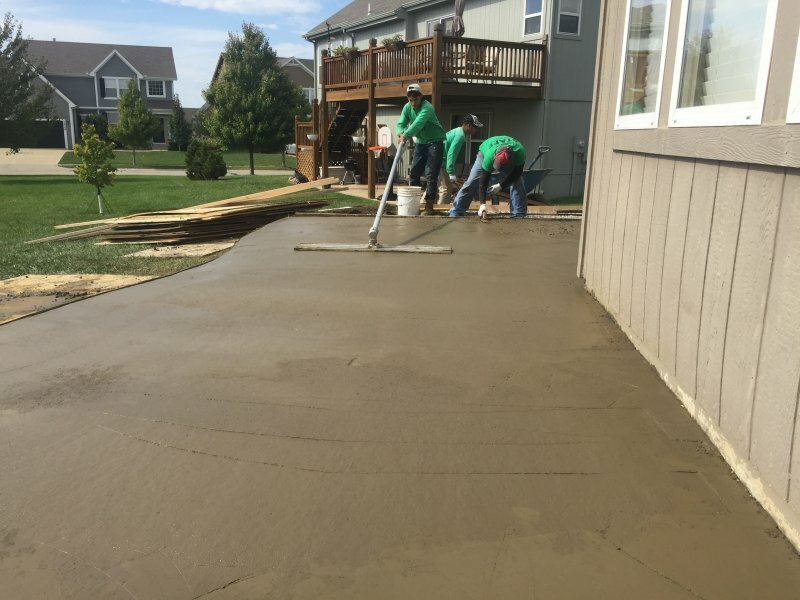 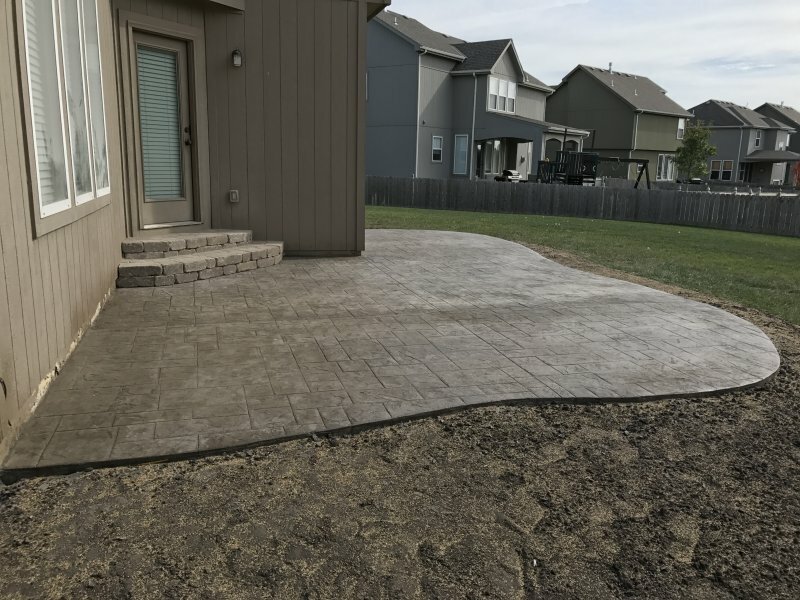 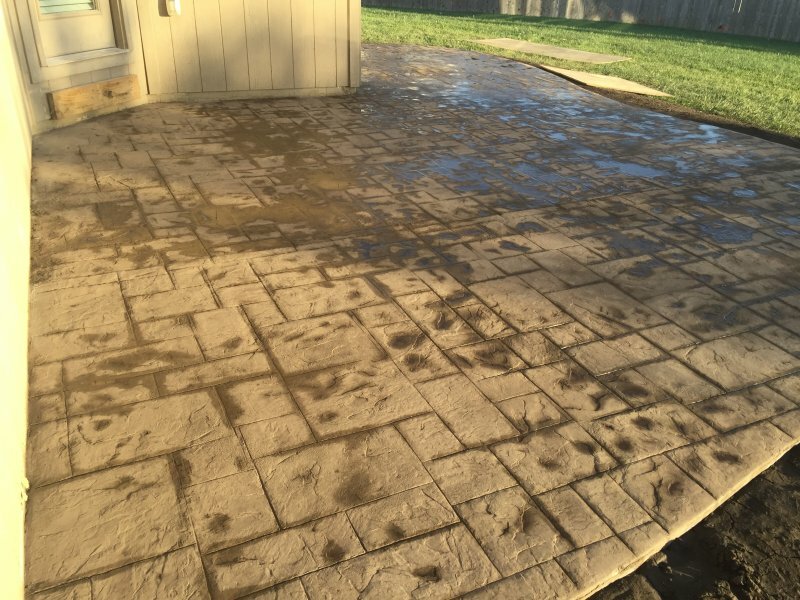 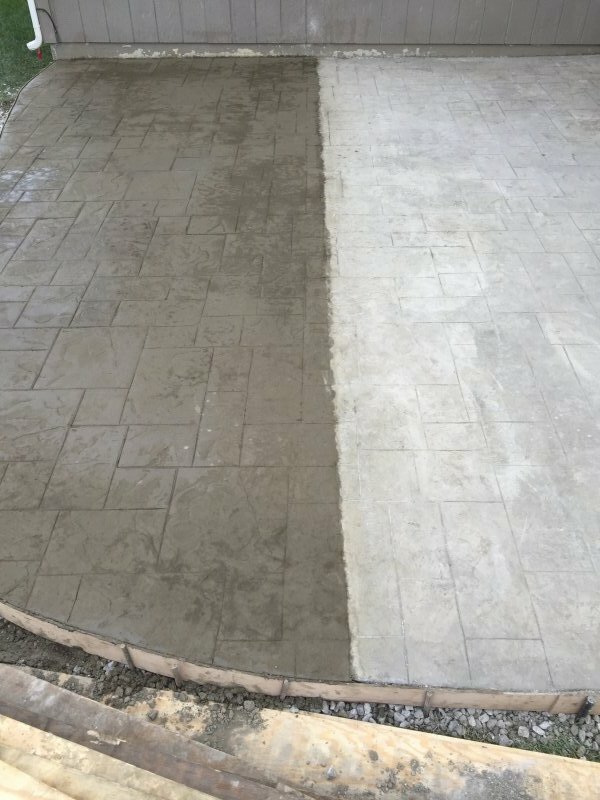 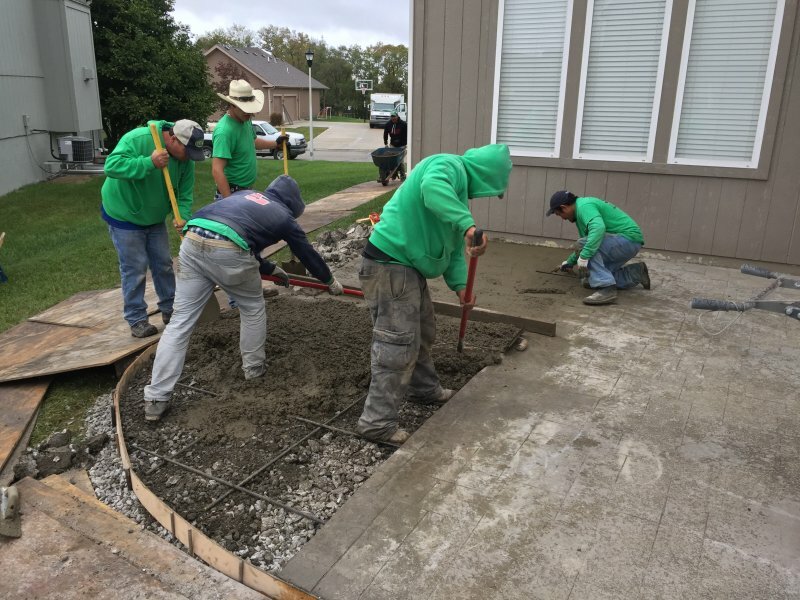 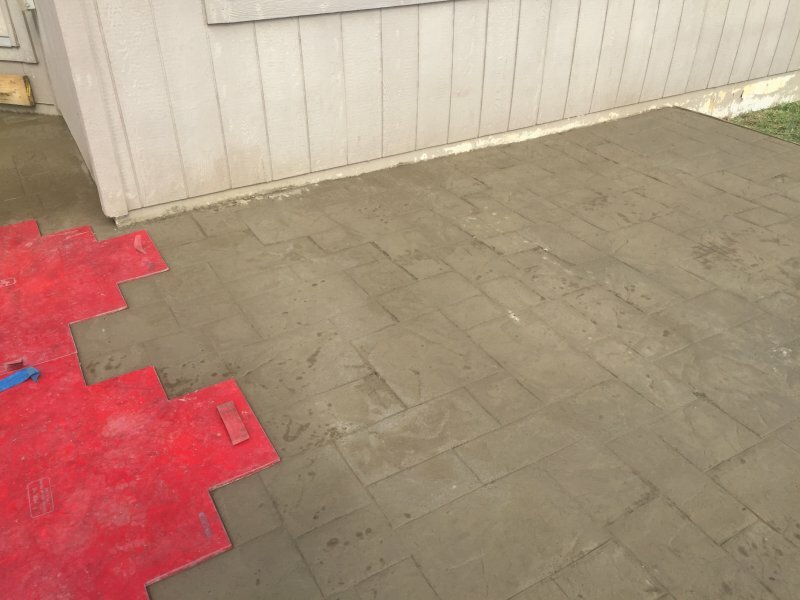 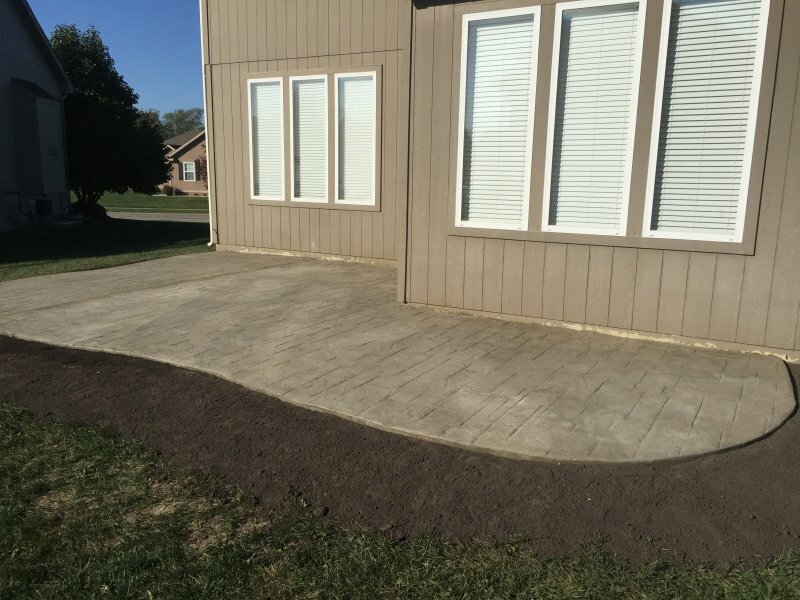 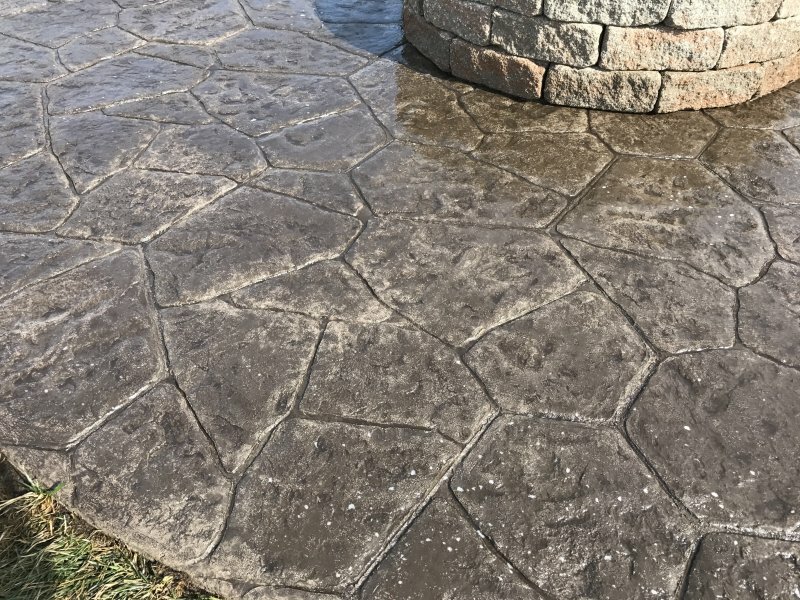 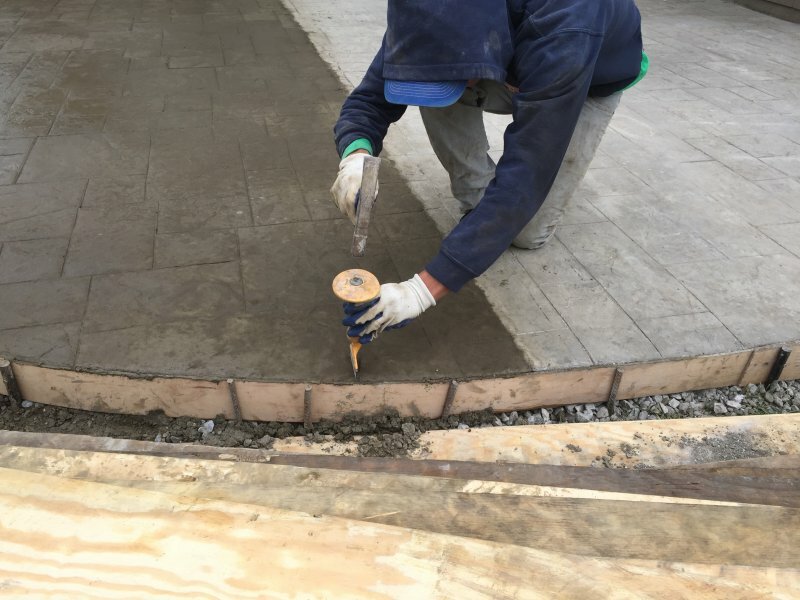 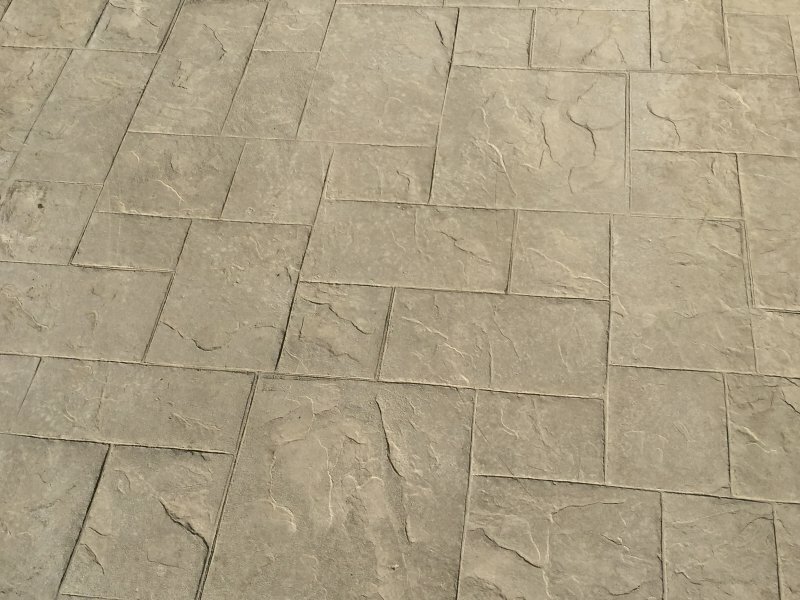 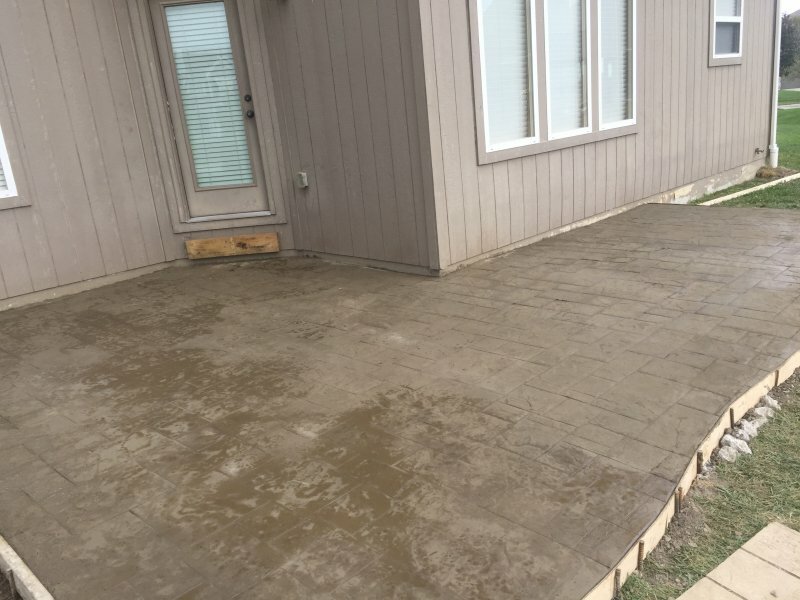 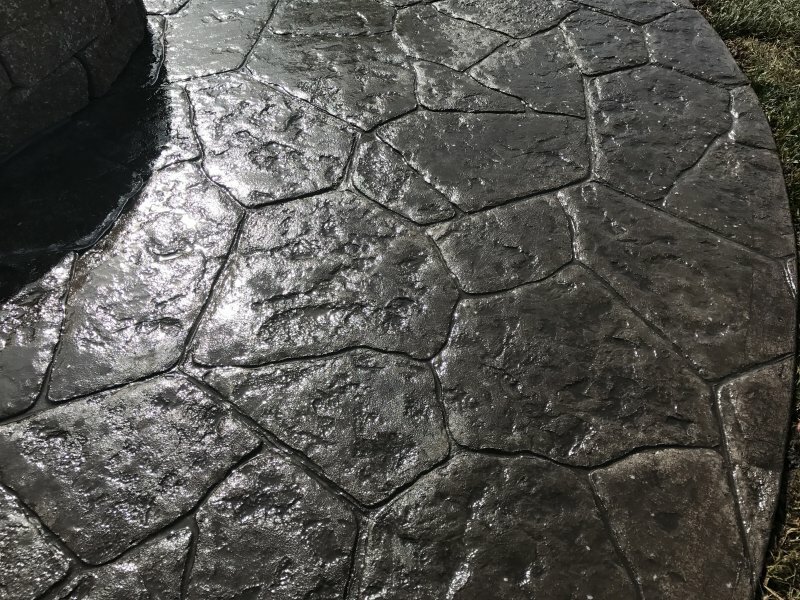 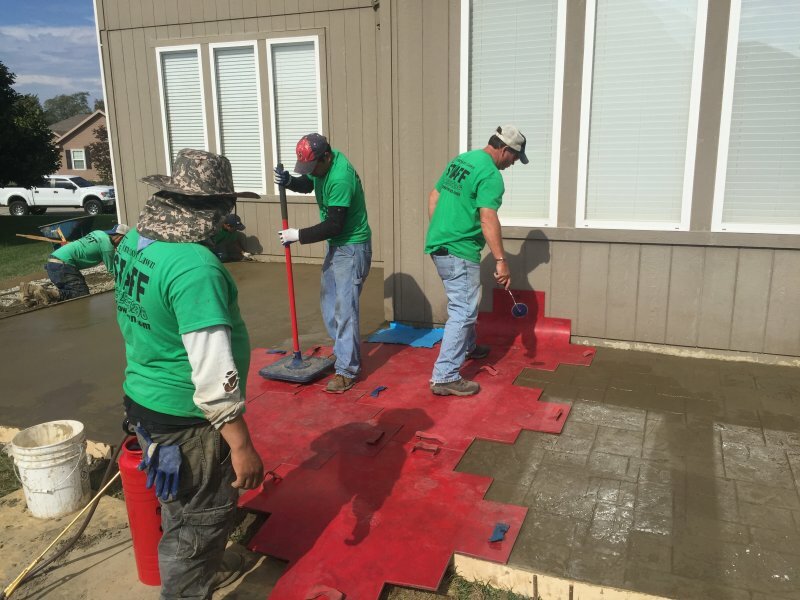 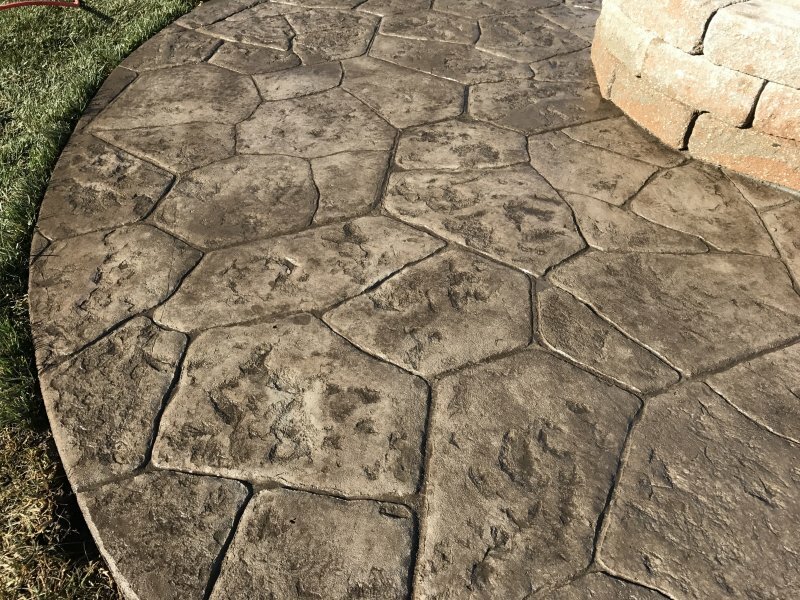 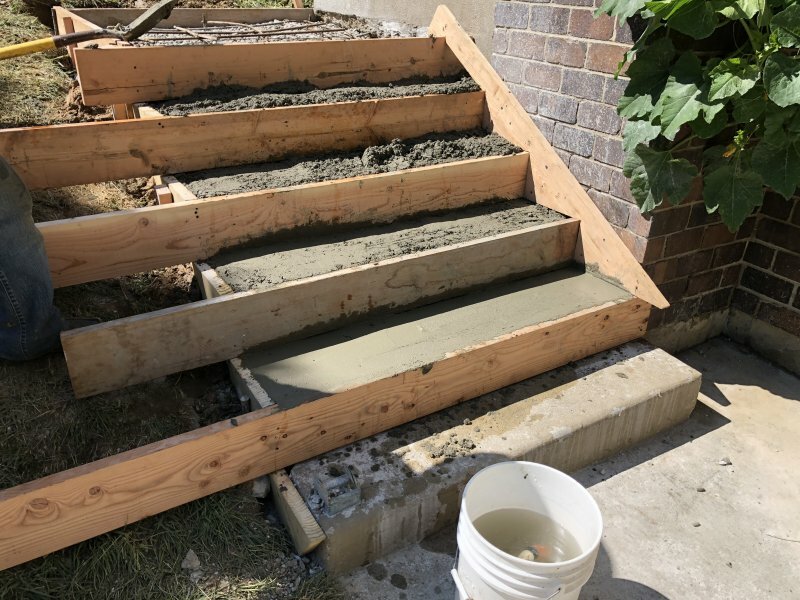 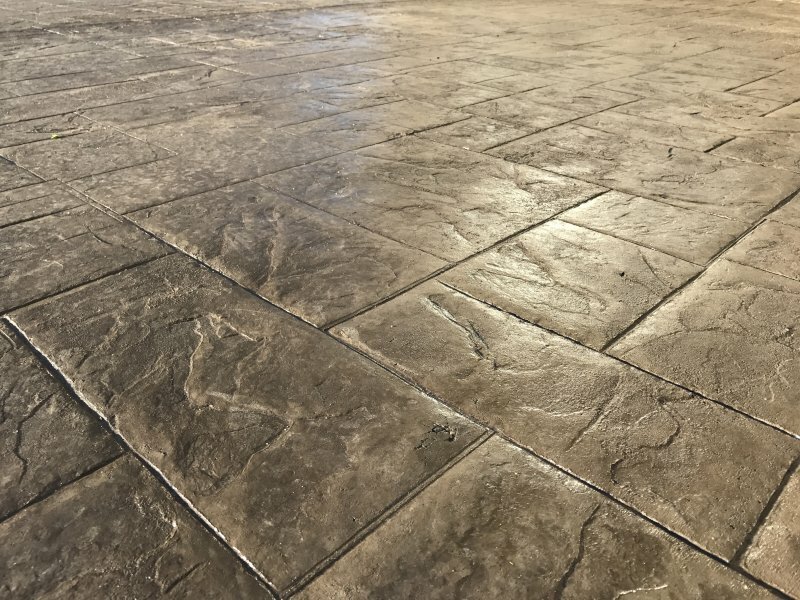 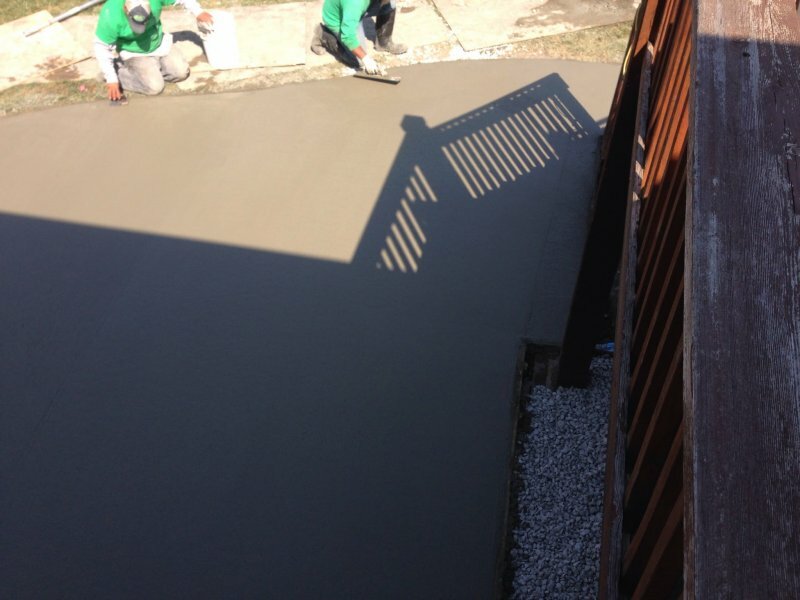 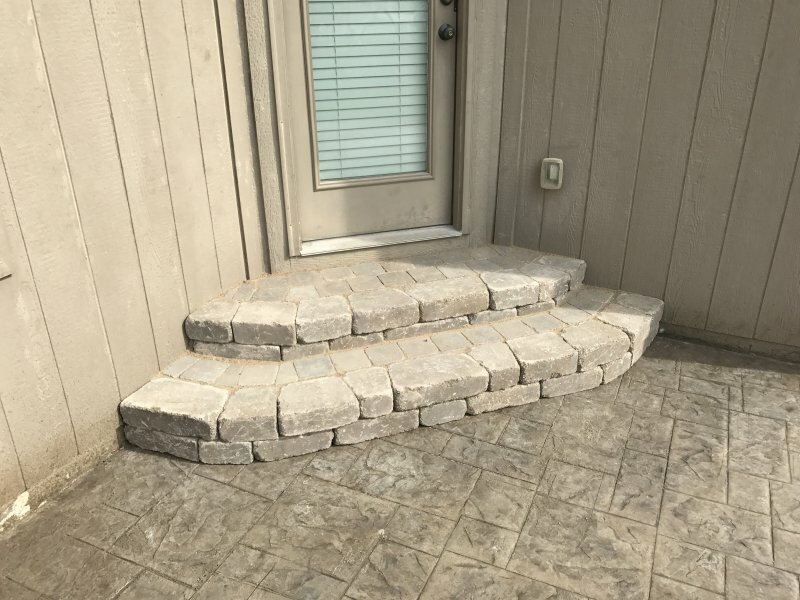 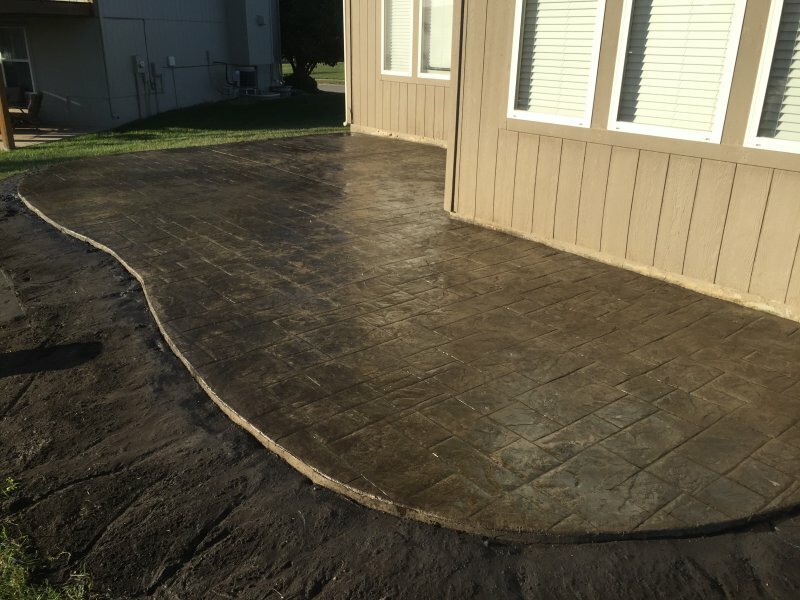 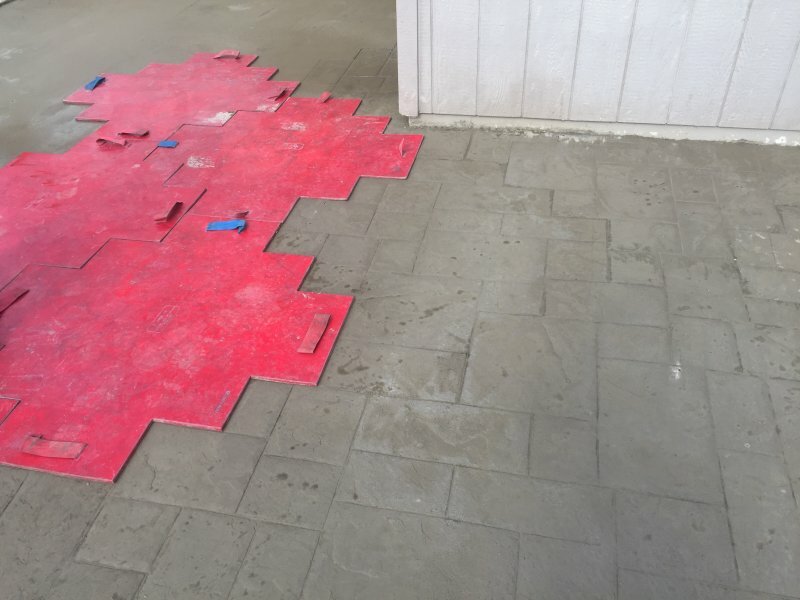 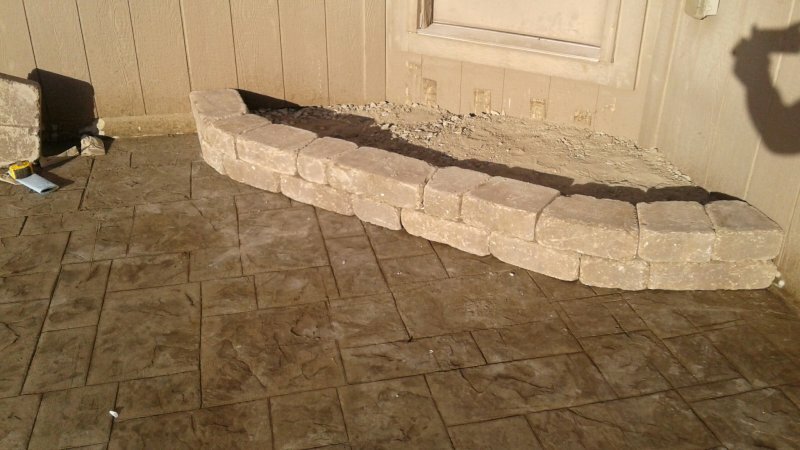 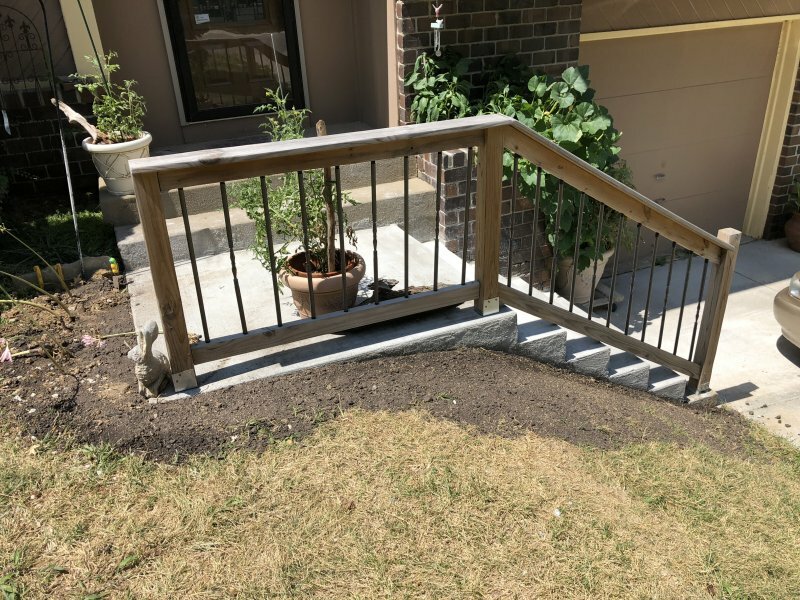 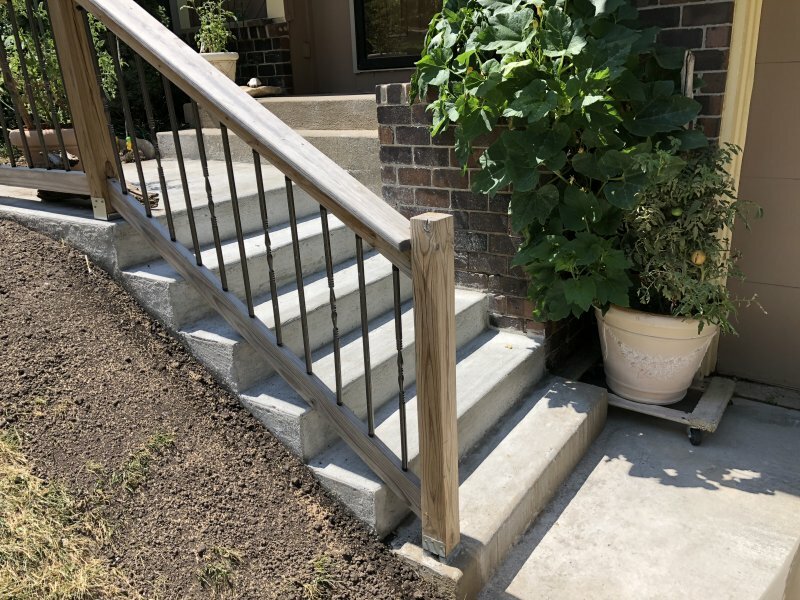 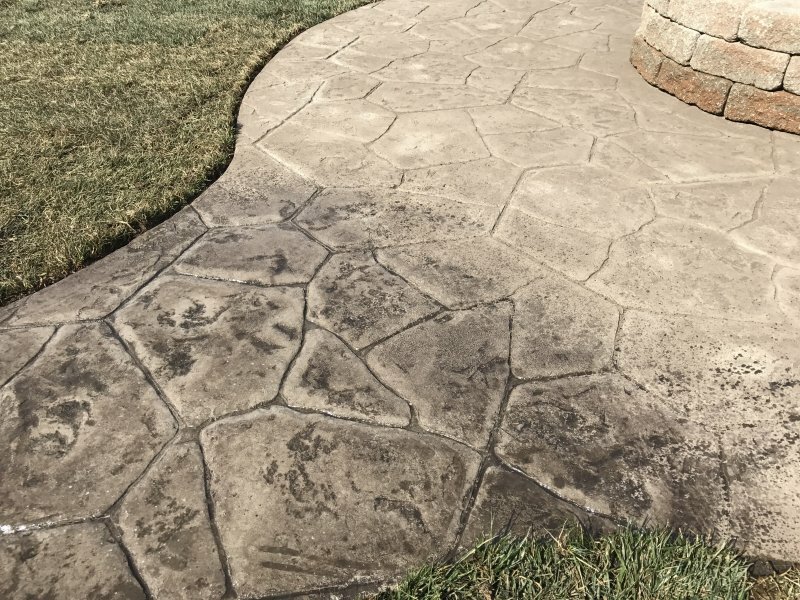 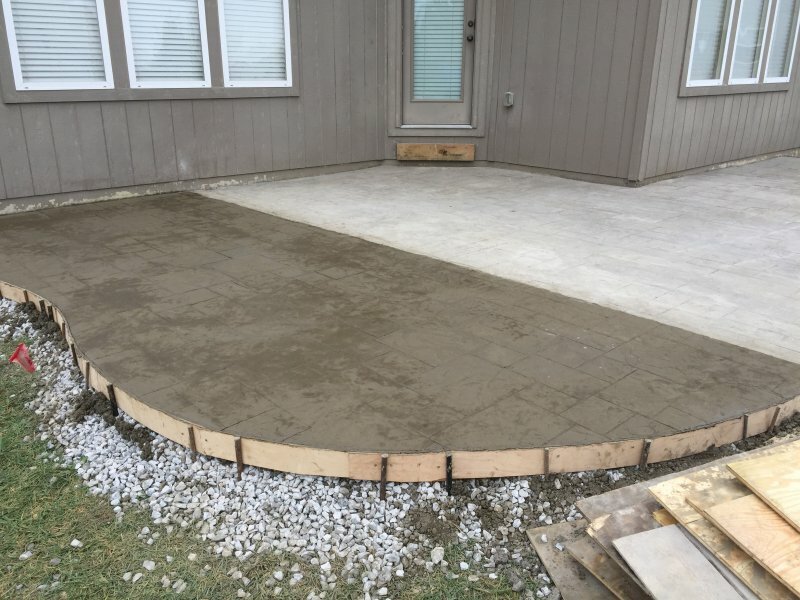 We install from standard broom finish to colored and stamped concrete patios and walkways, driveways as well as step and stoop replacement. 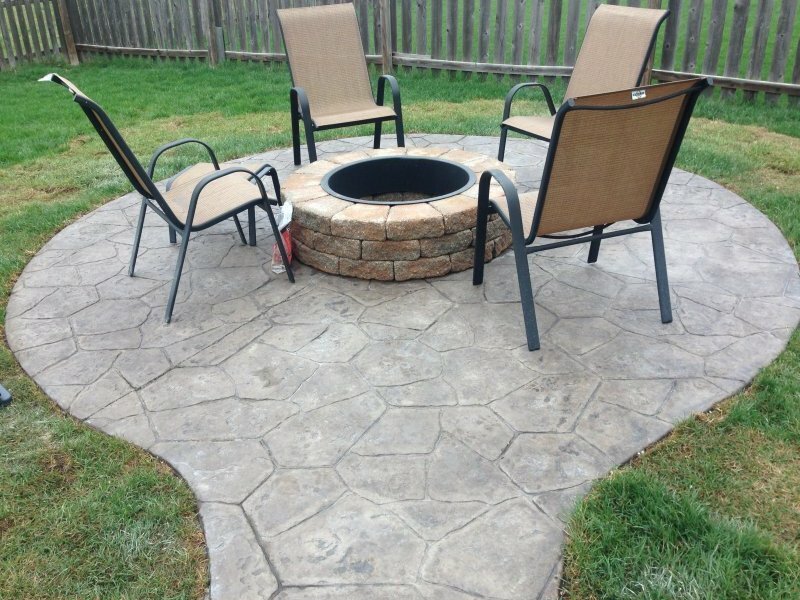 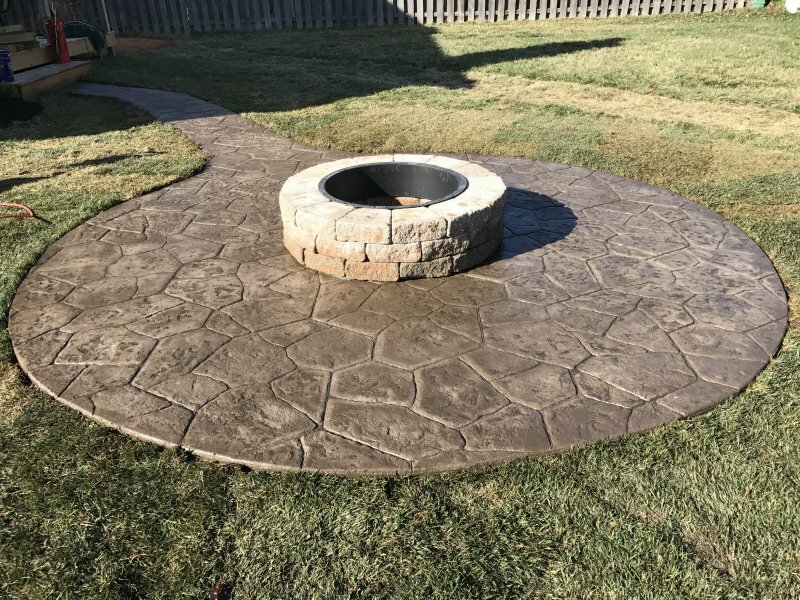 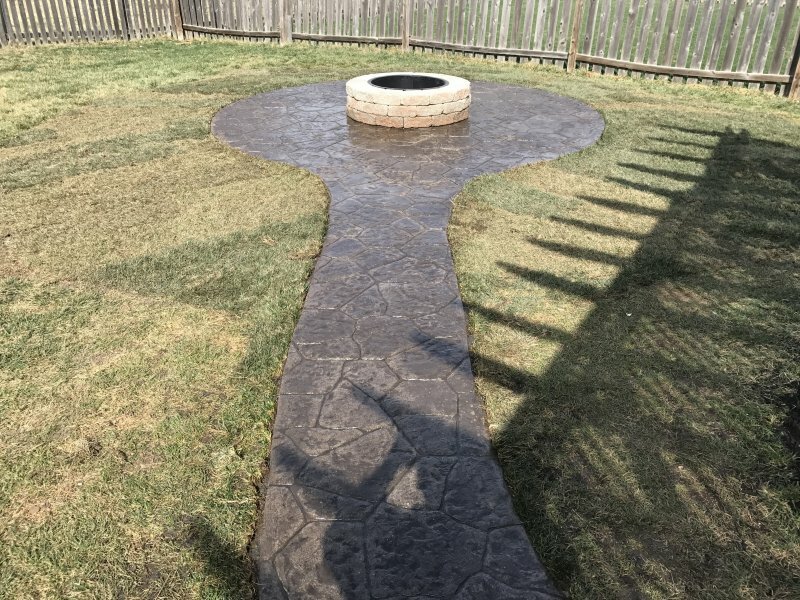 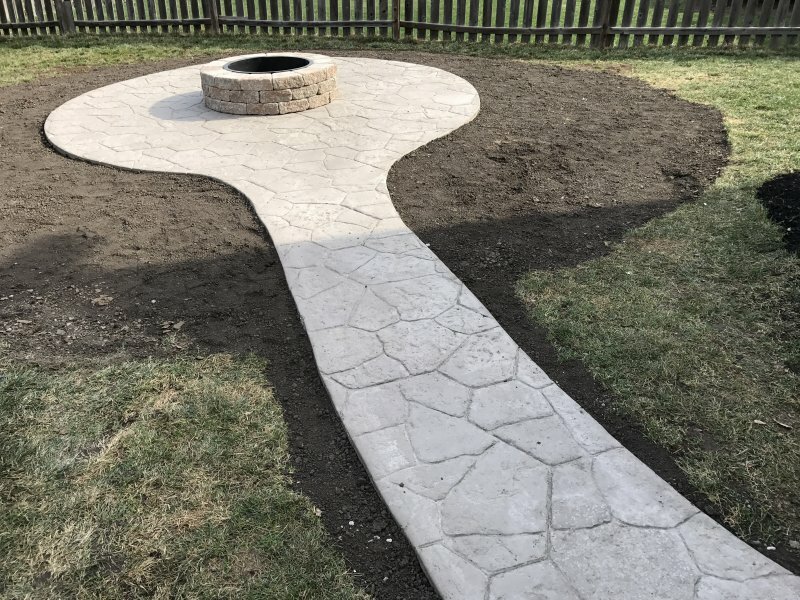 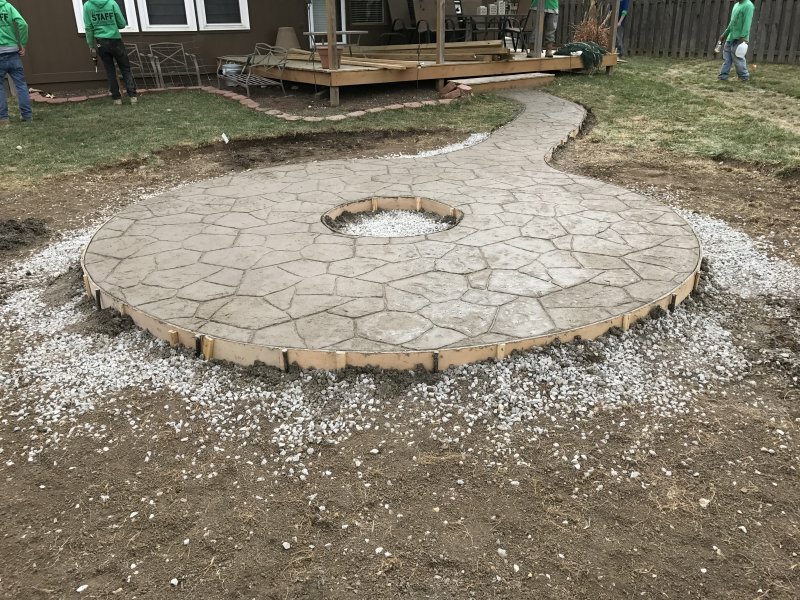 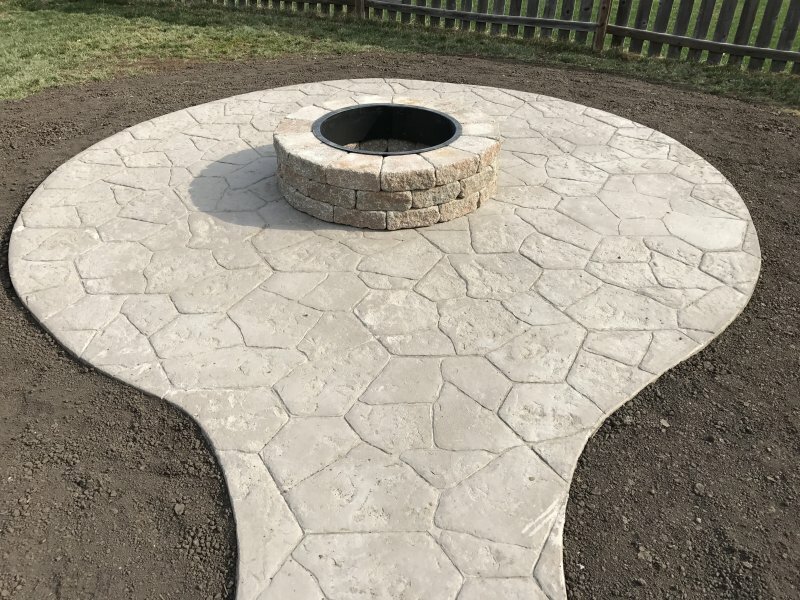 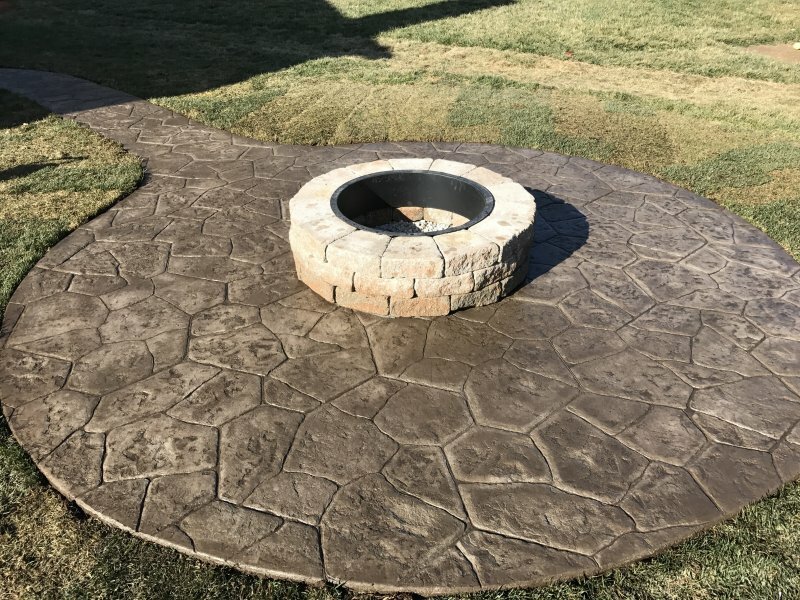 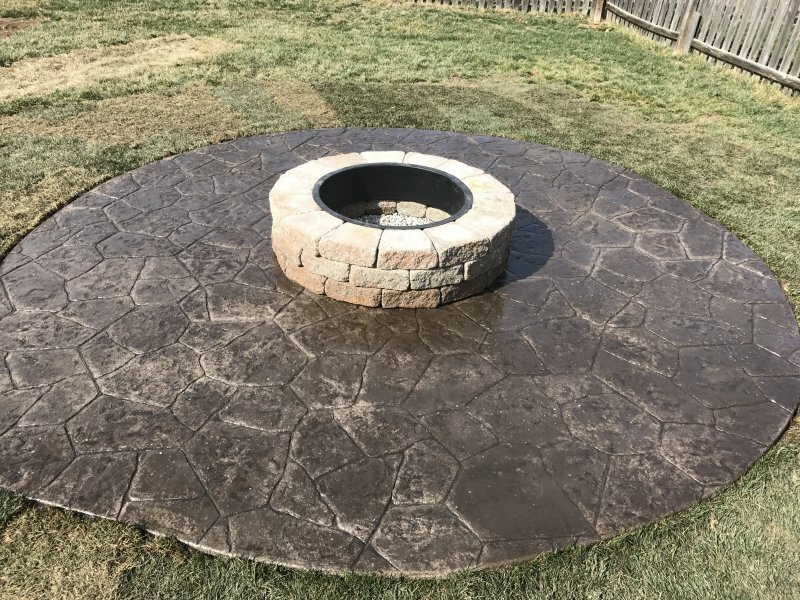 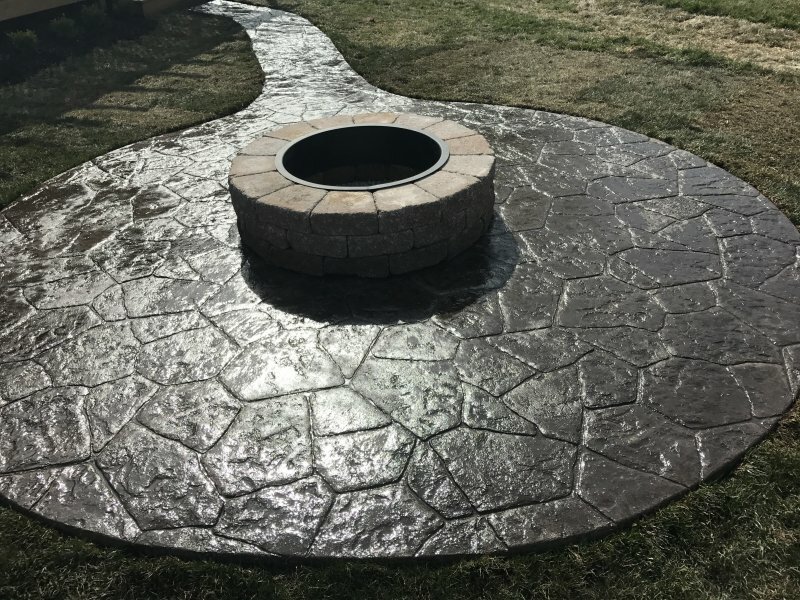 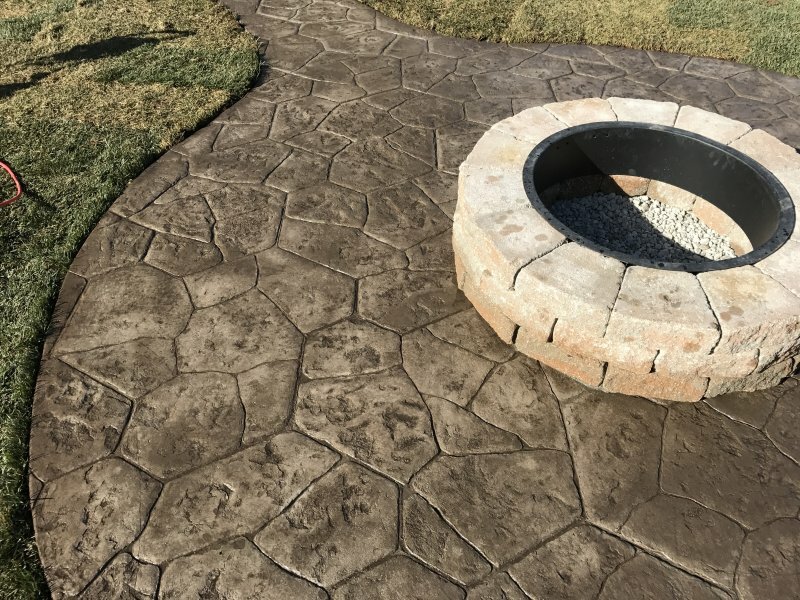 Stamped and colored patio with walk-path and firepit.